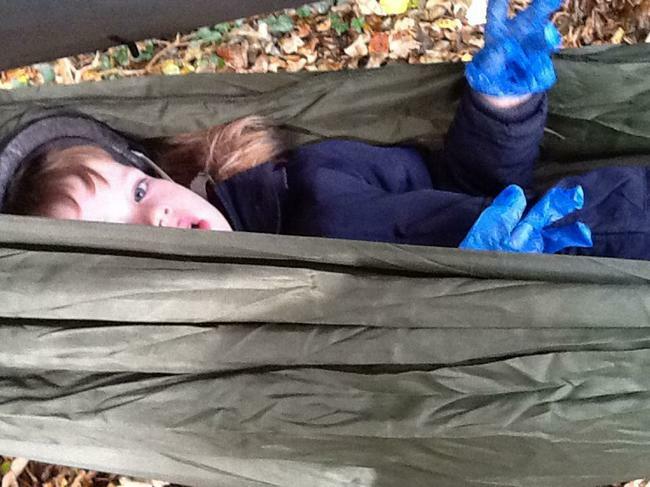 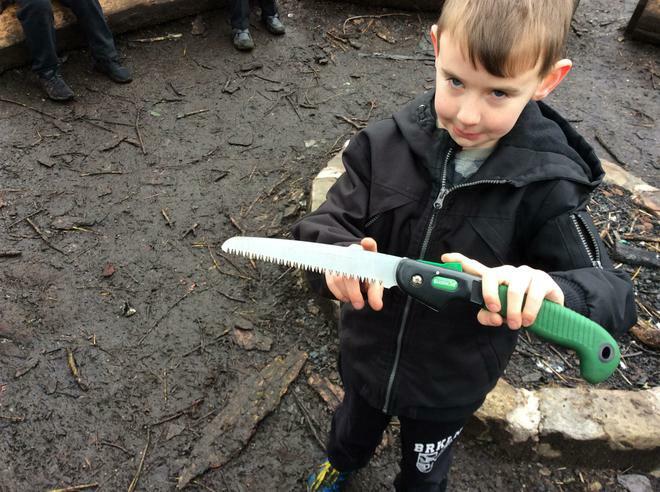 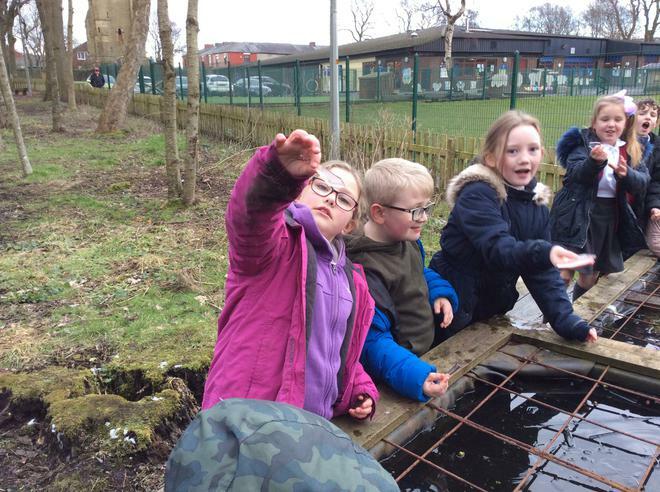 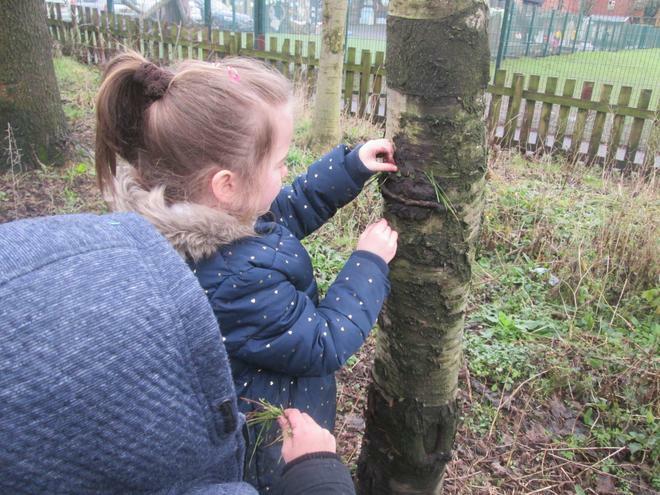 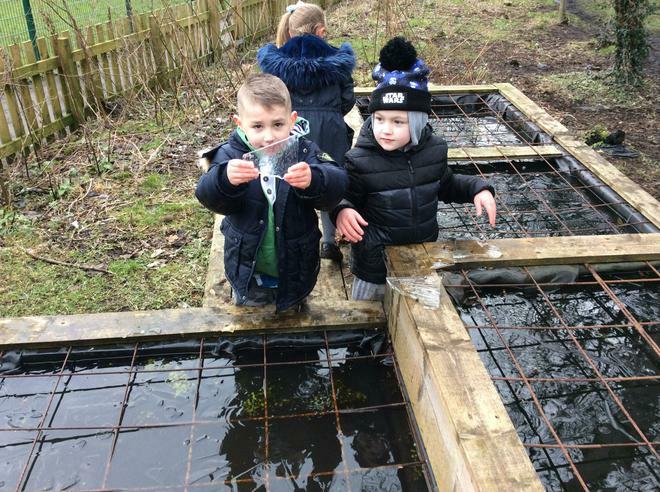 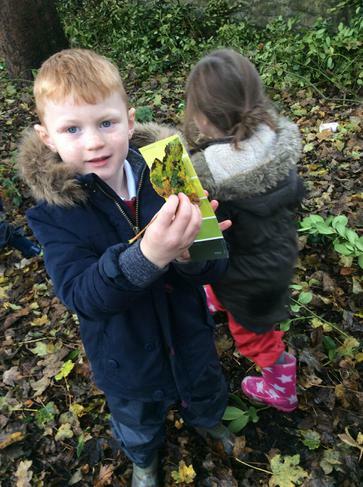 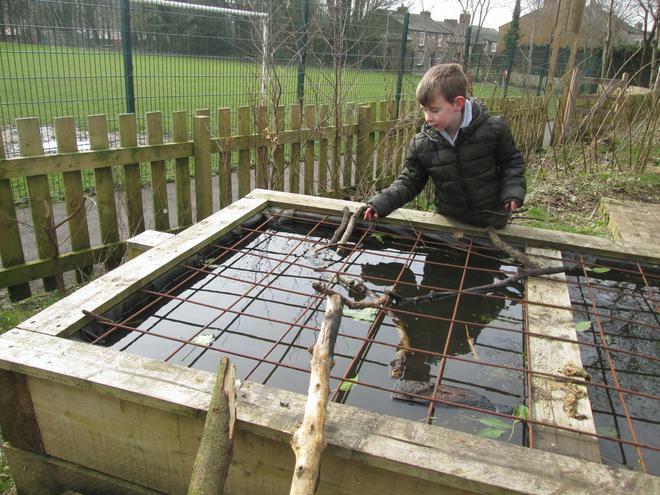 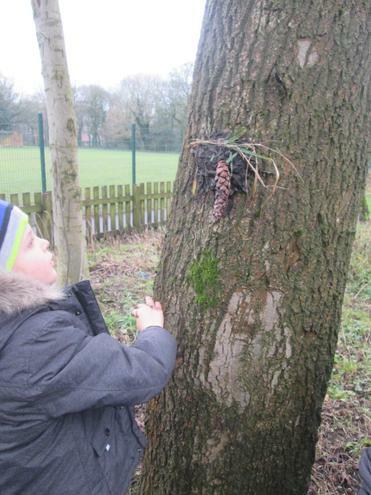 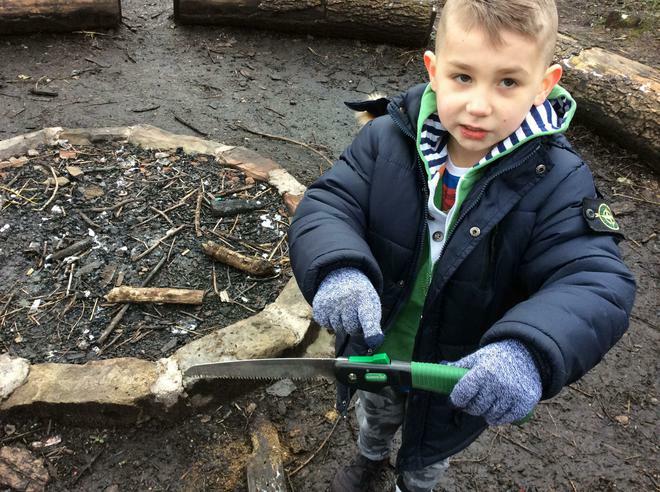 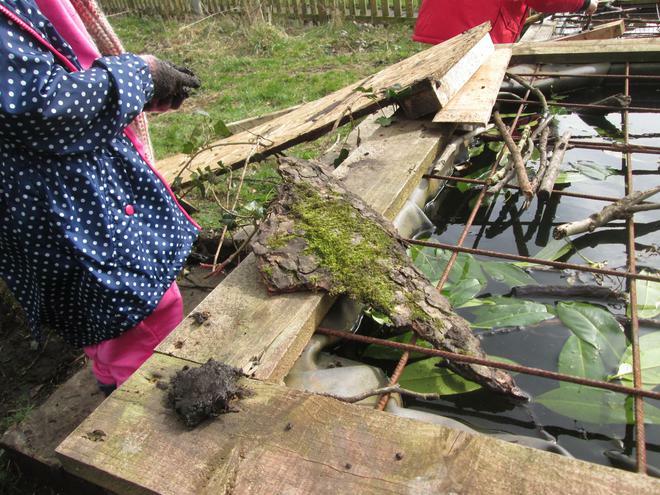 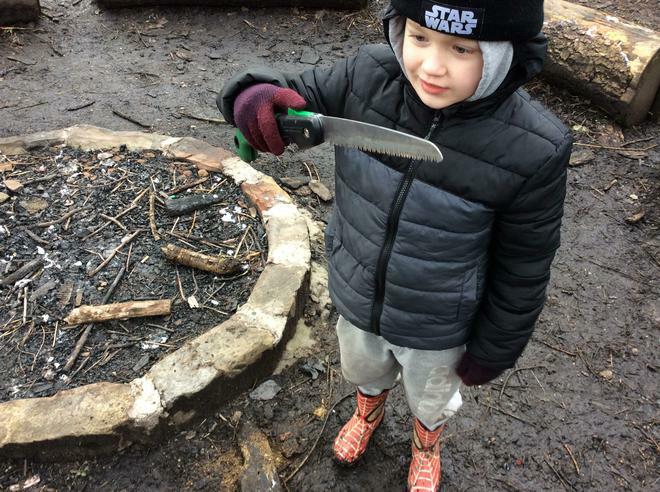 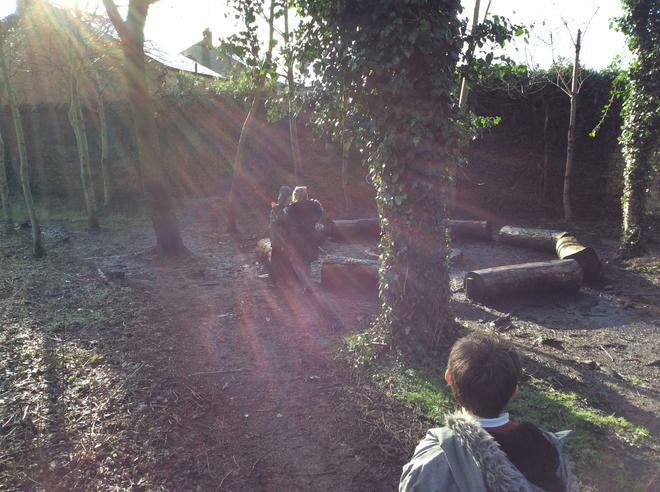 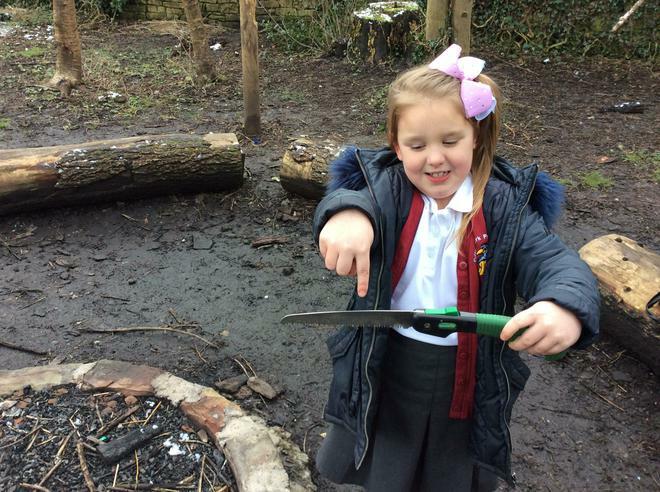 Forest School Fun in Year 1! 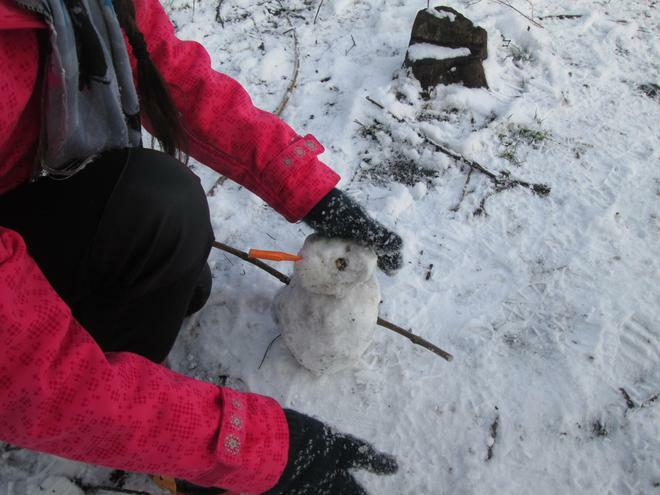 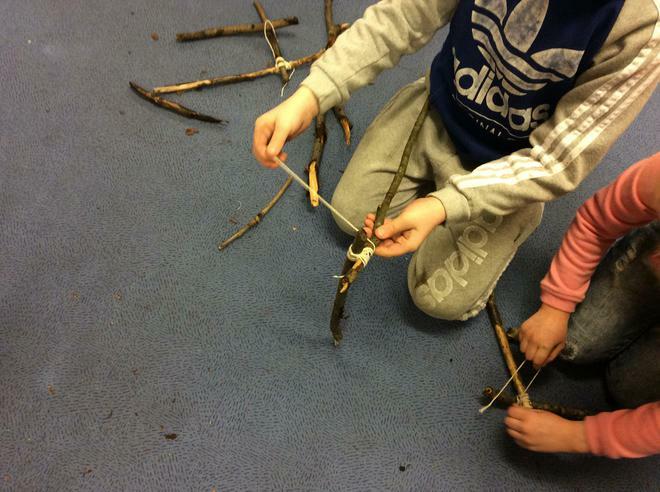 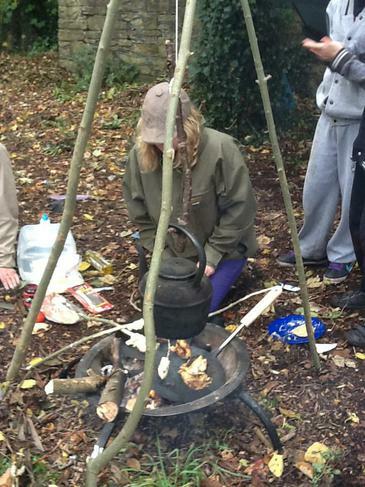 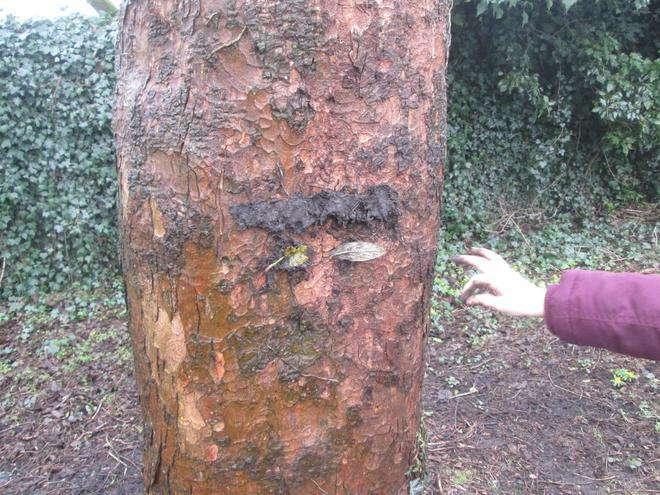 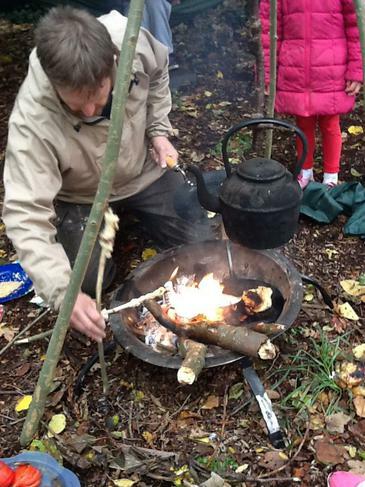 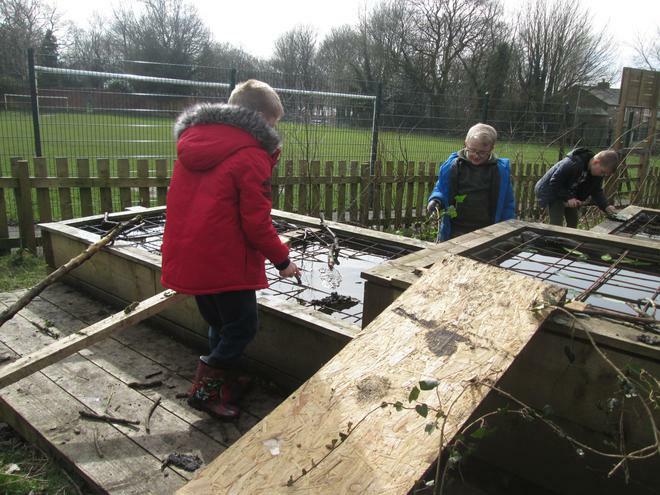 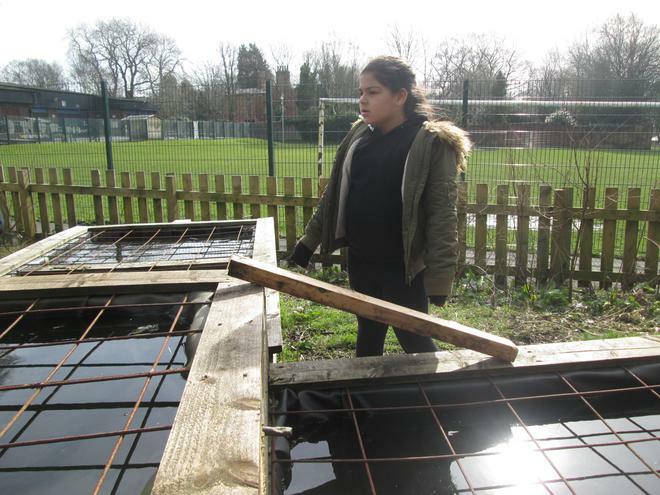 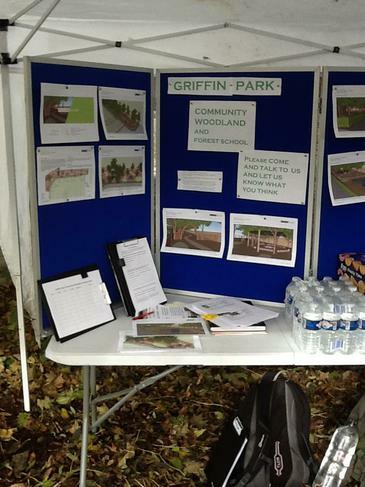 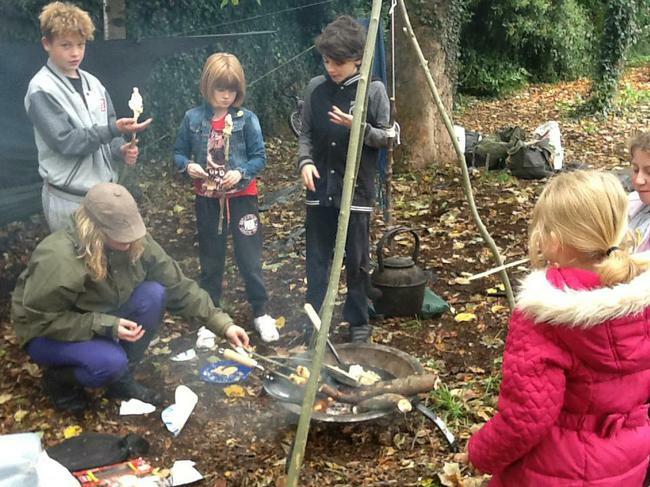 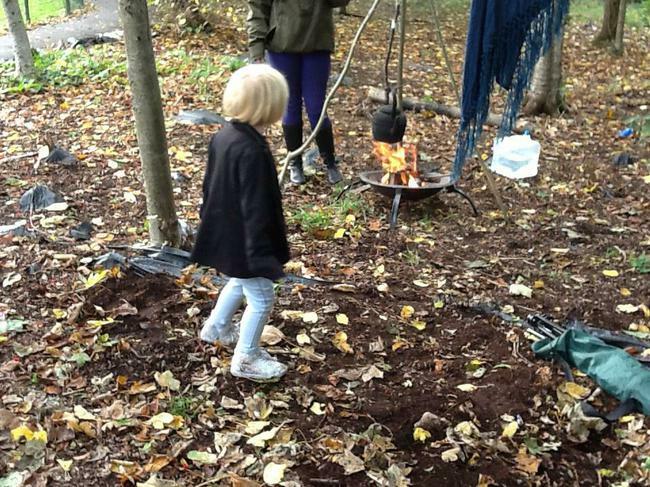 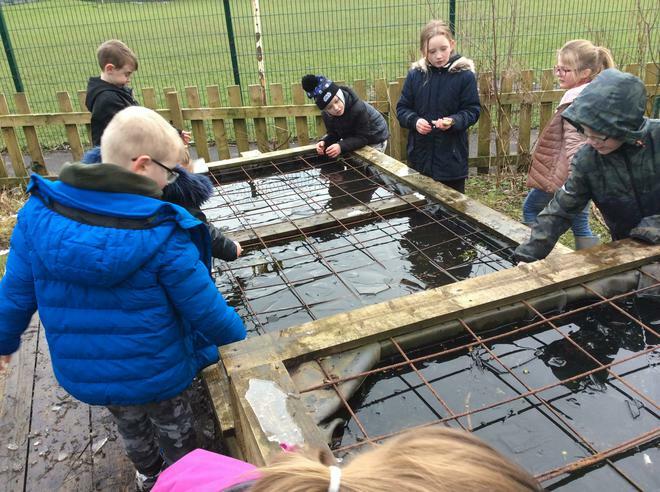 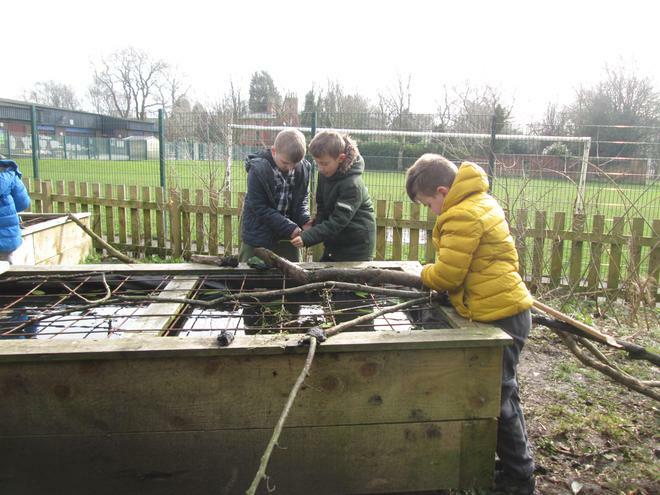 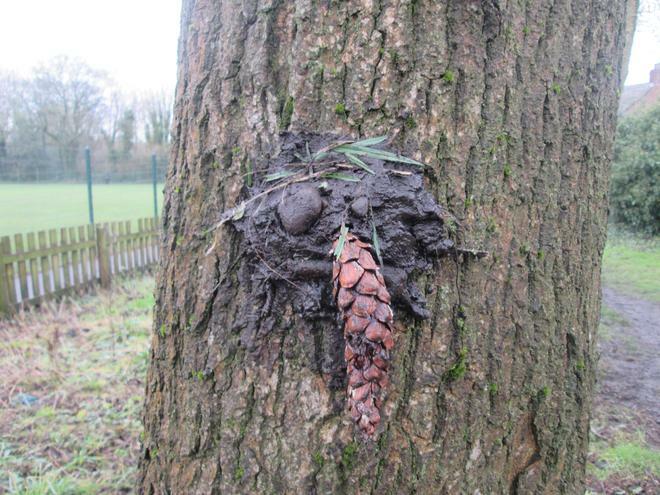 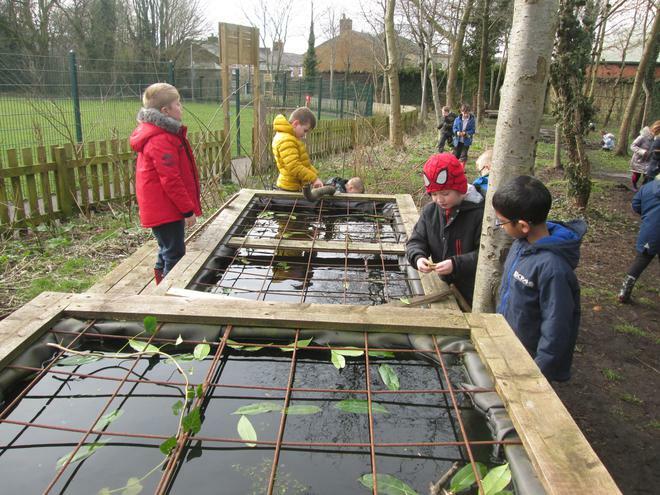 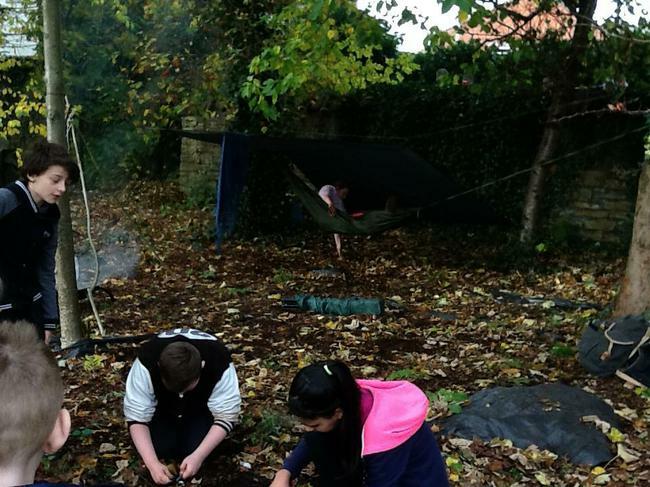 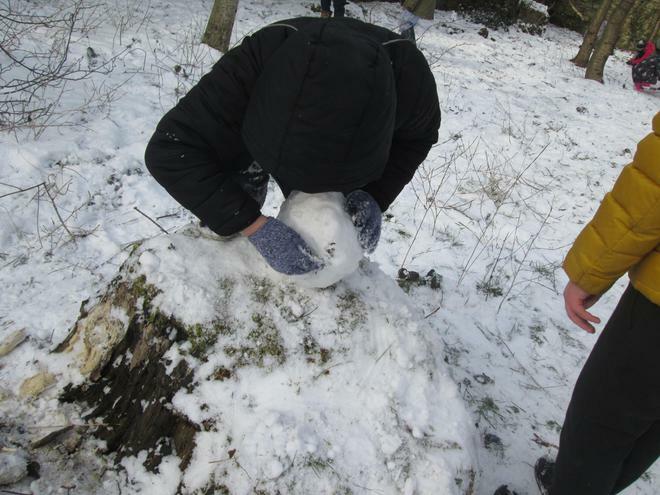 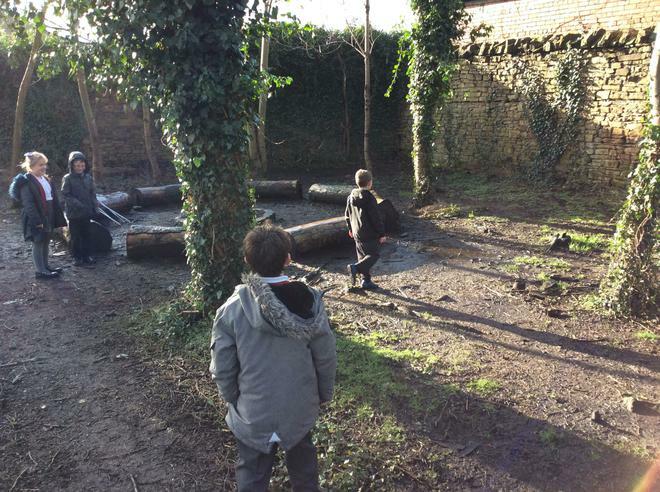 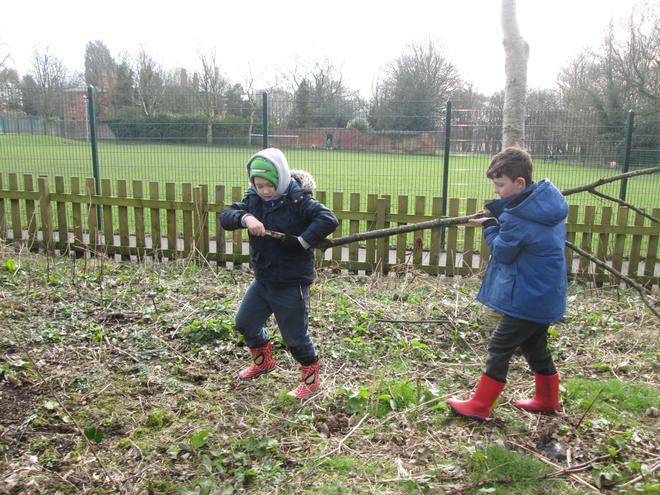 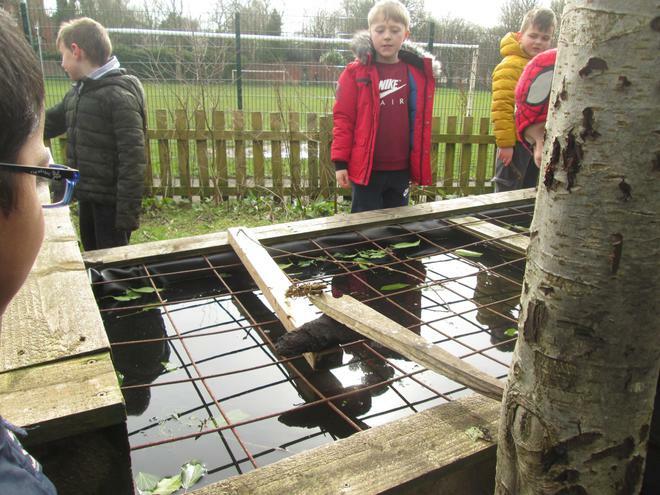 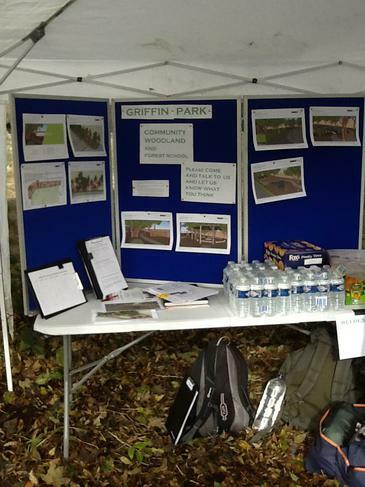 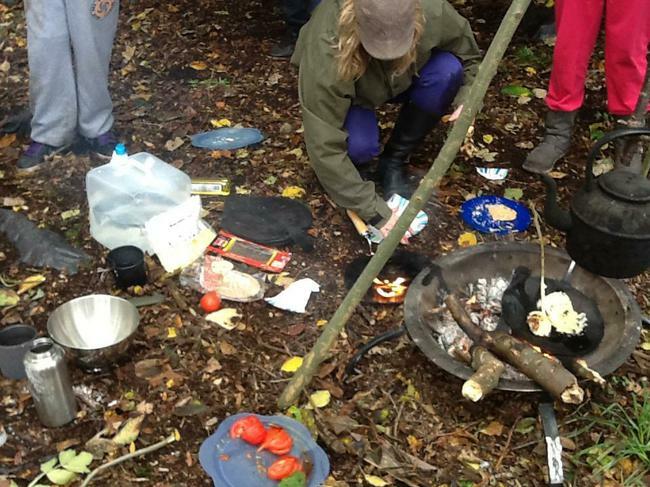 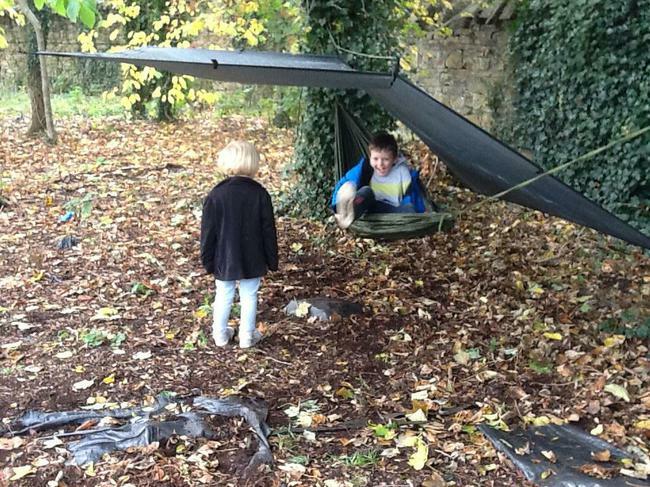 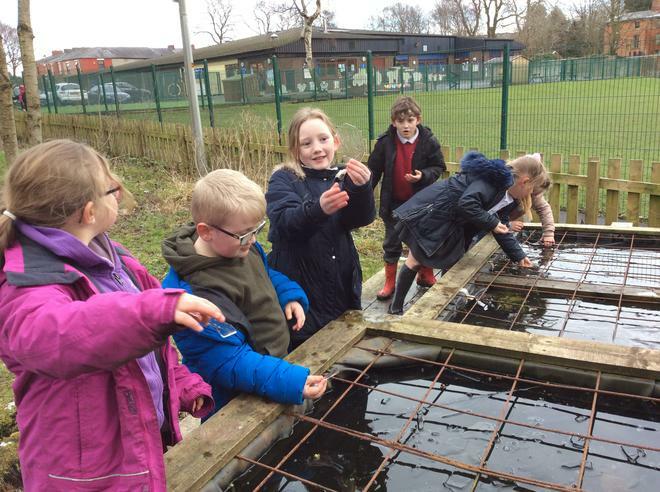 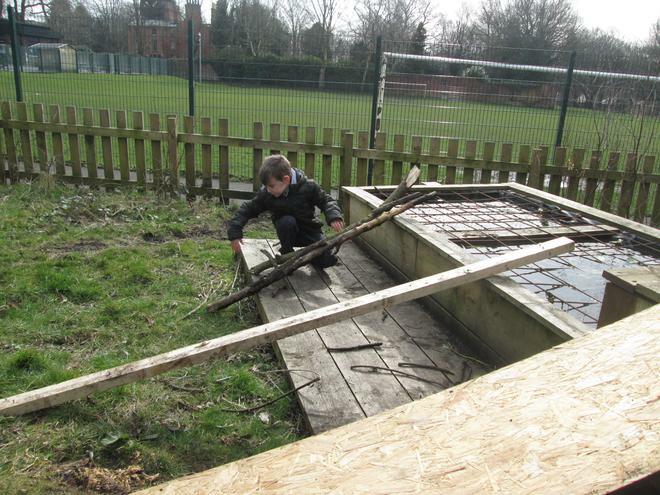 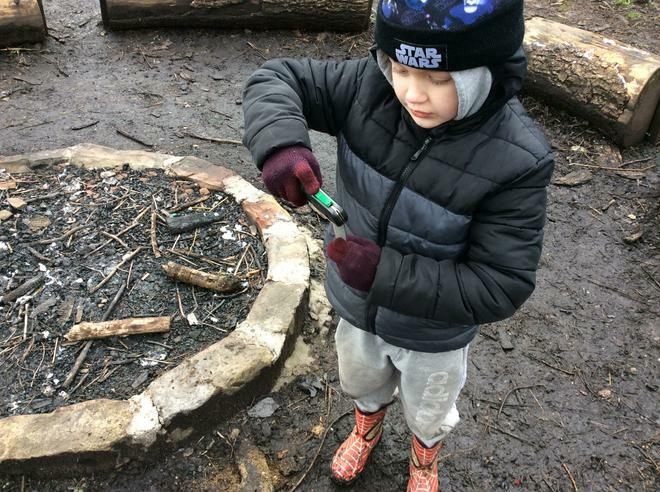 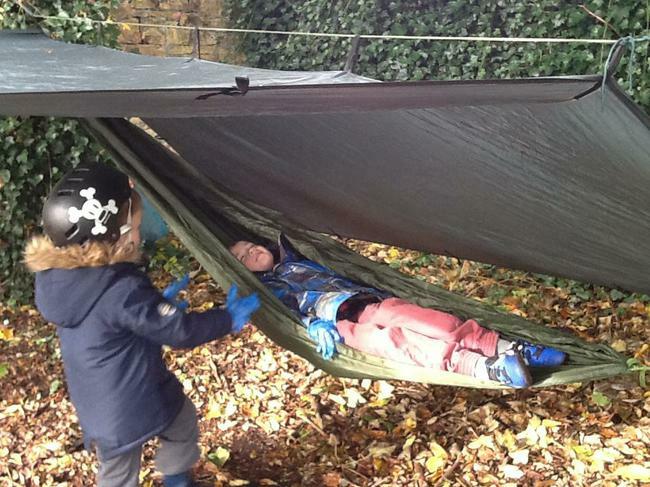 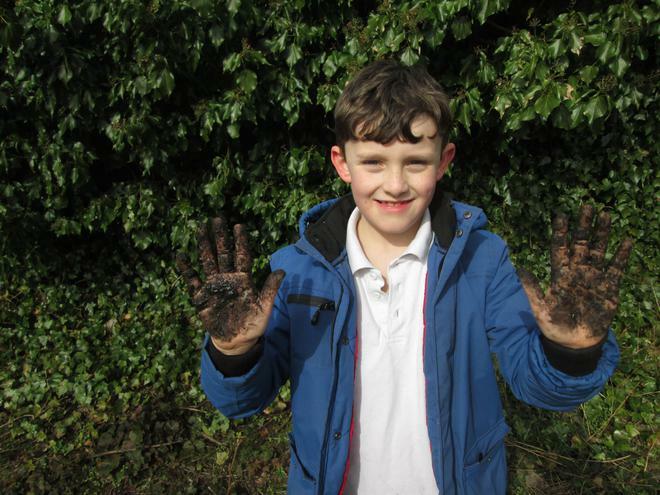 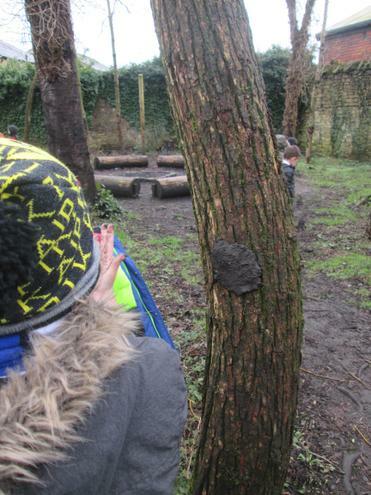 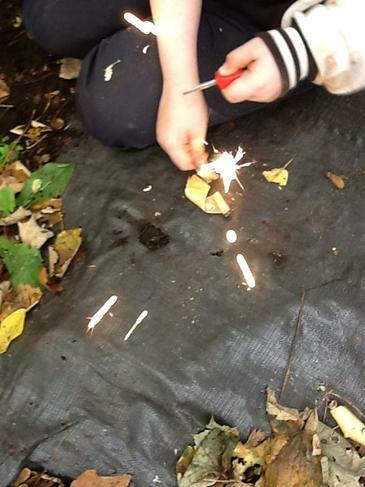 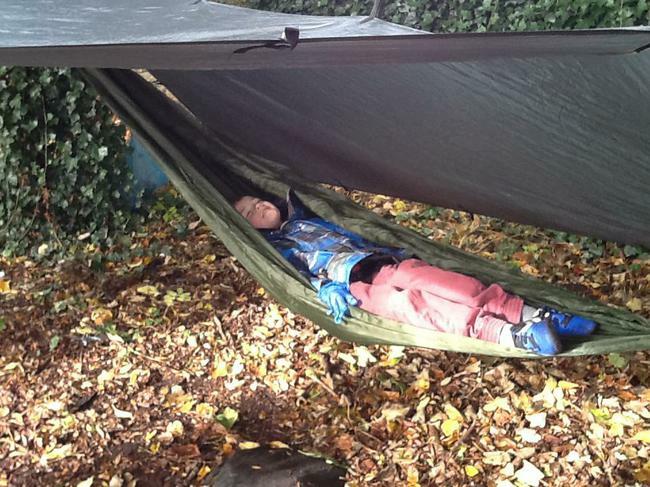 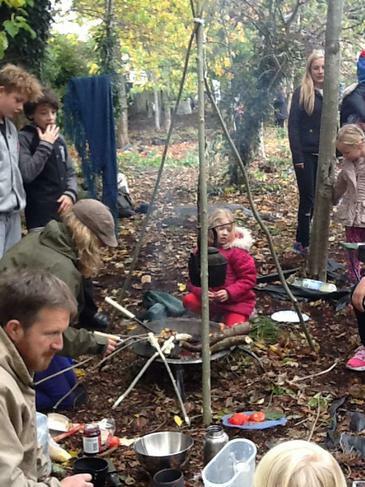 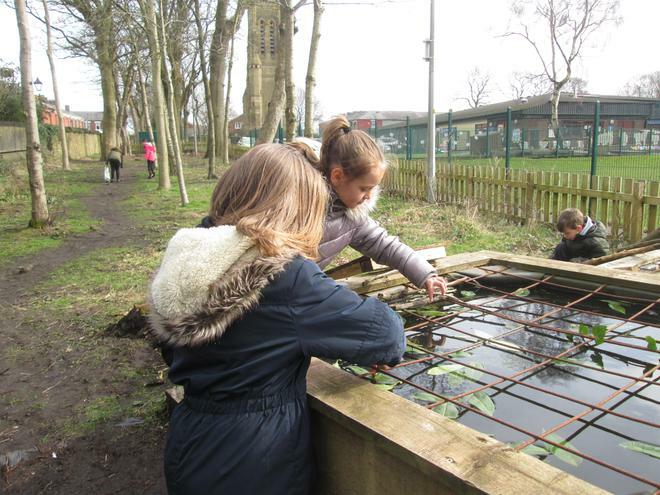 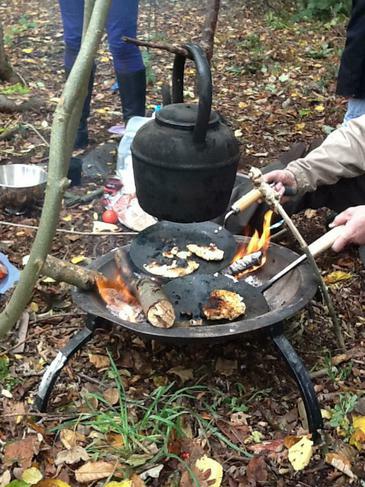 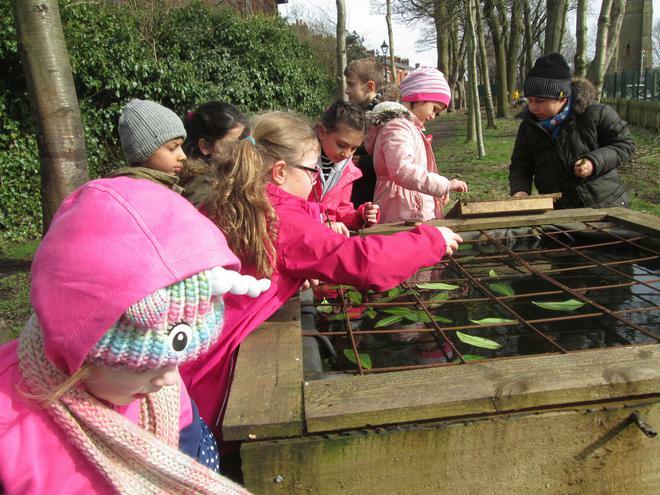 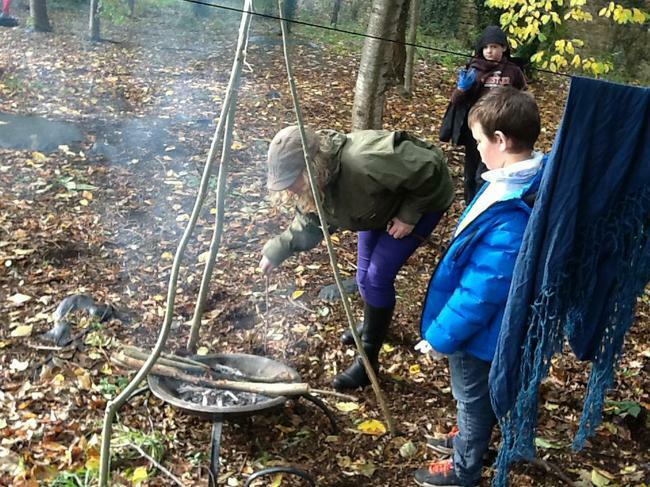 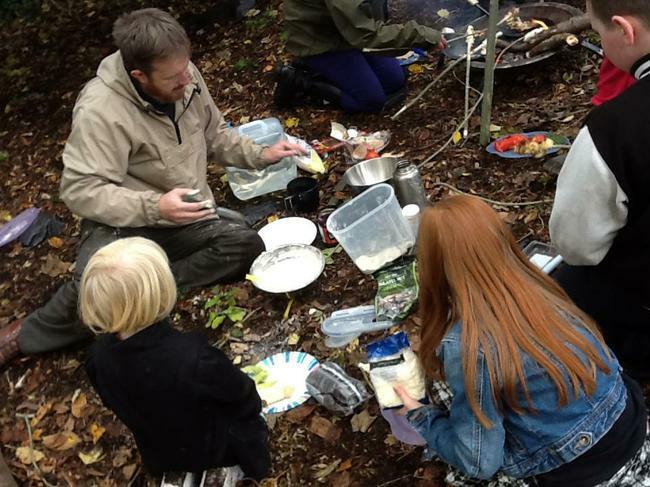 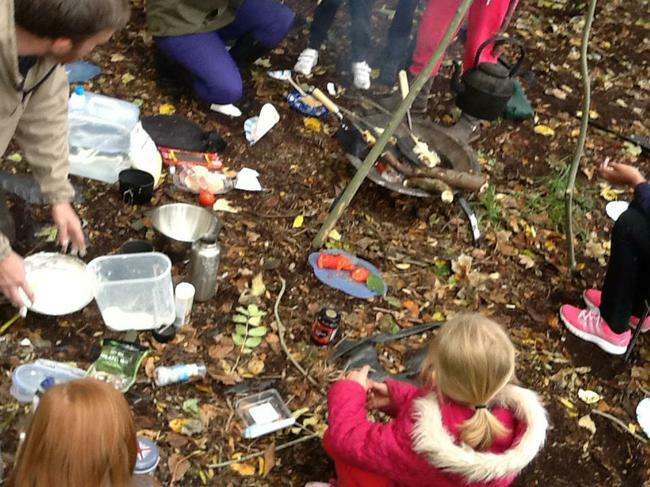 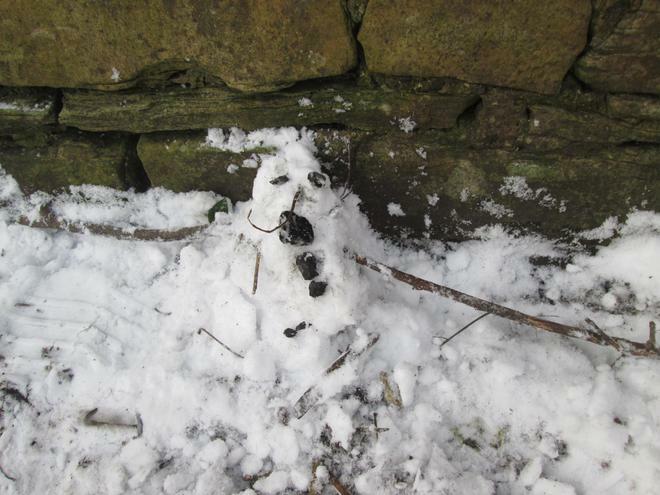 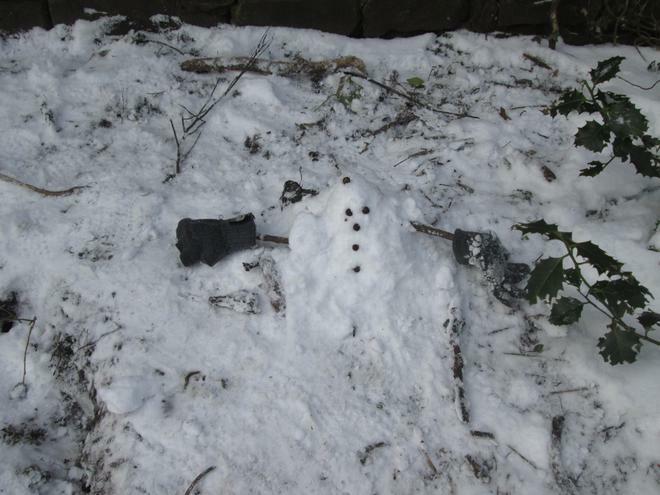 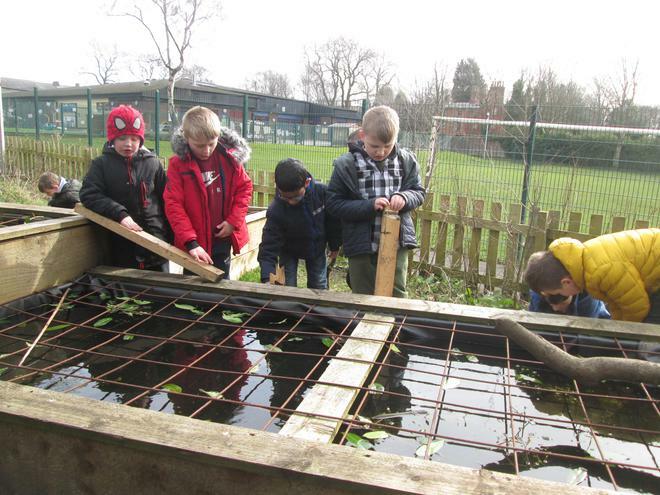 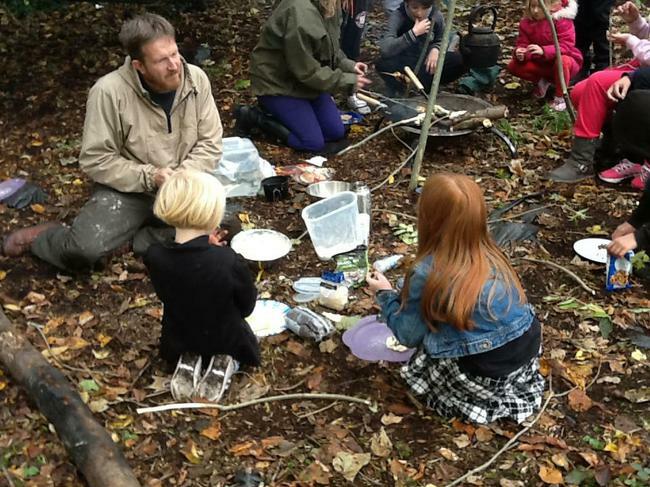 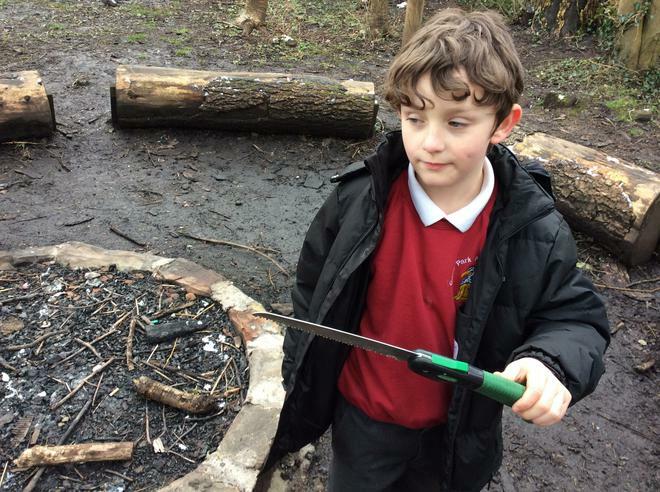 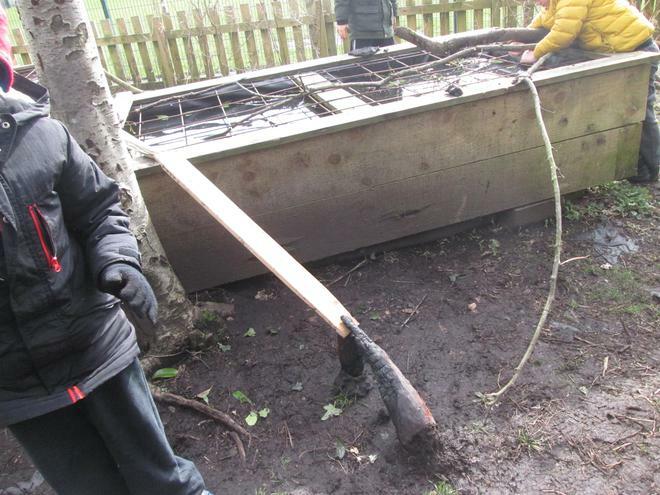 Year Three's Forest School Fun! 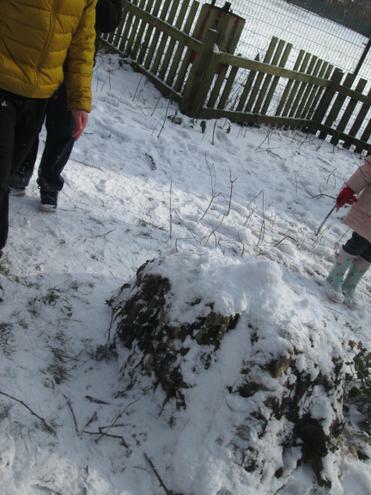 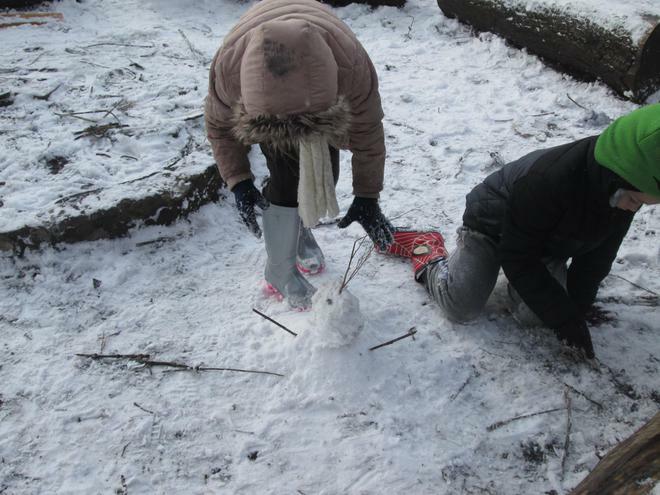 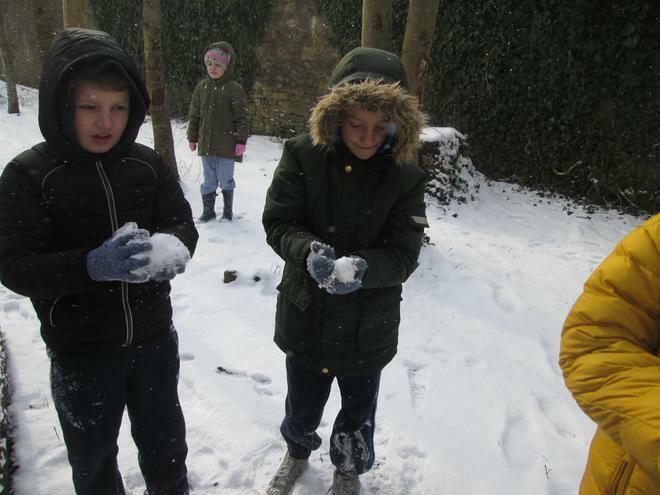 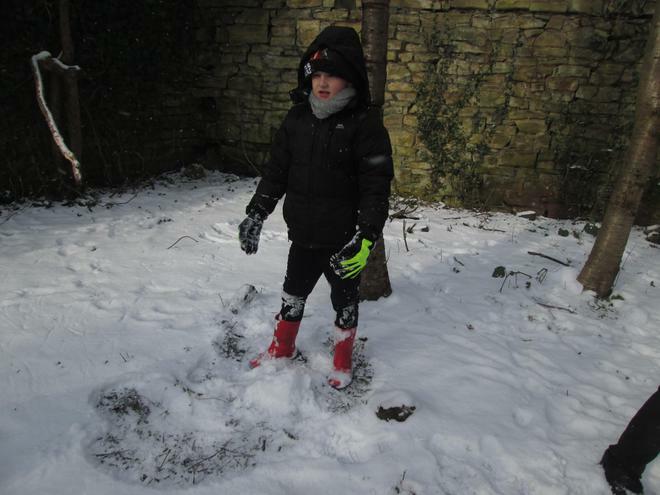 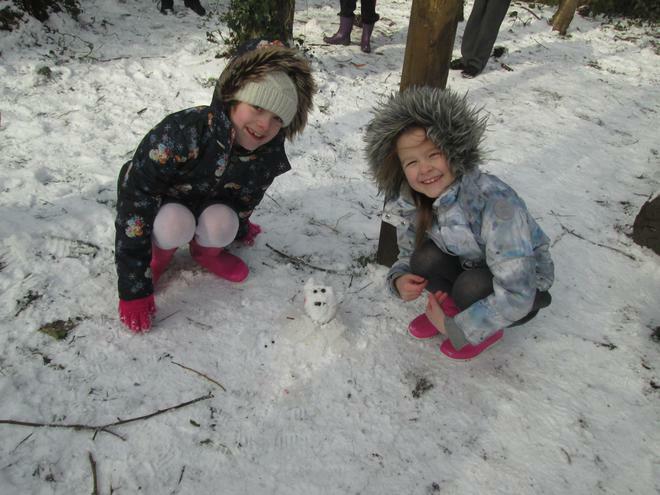 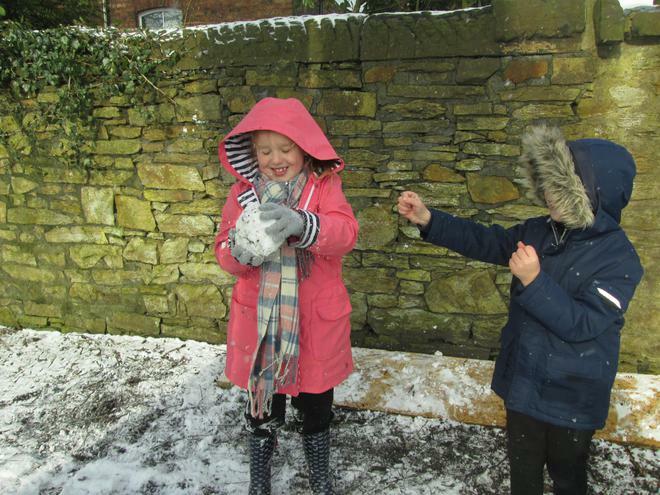 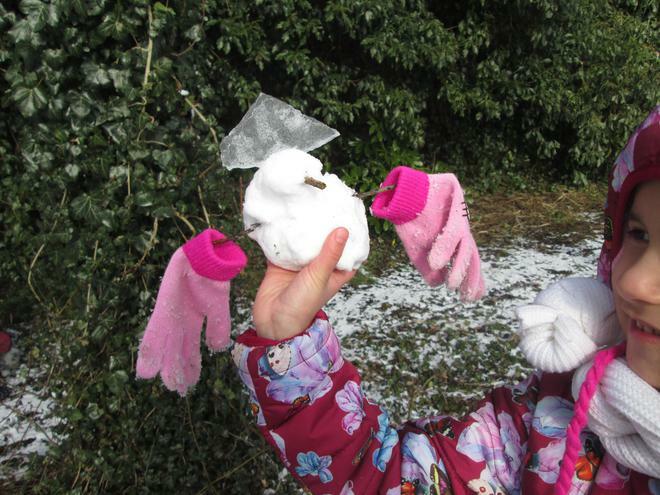 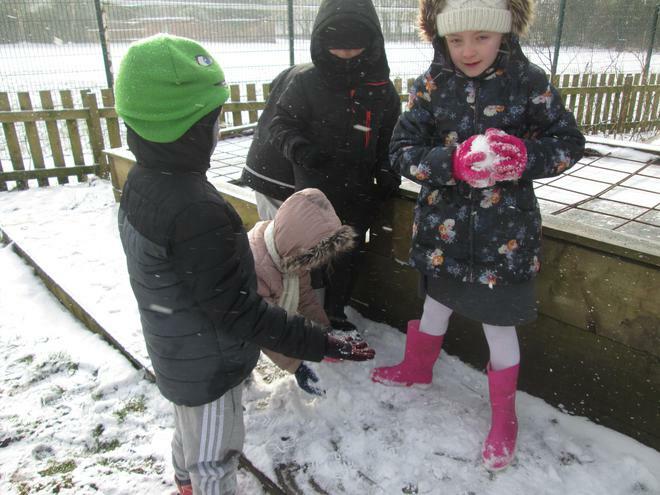 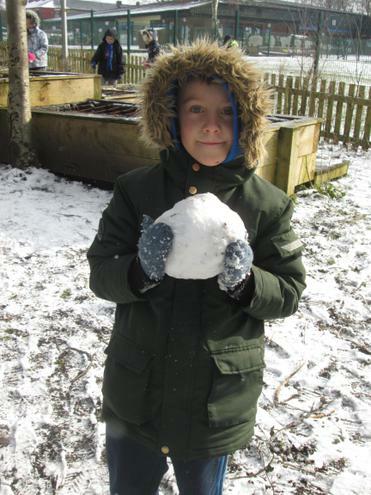 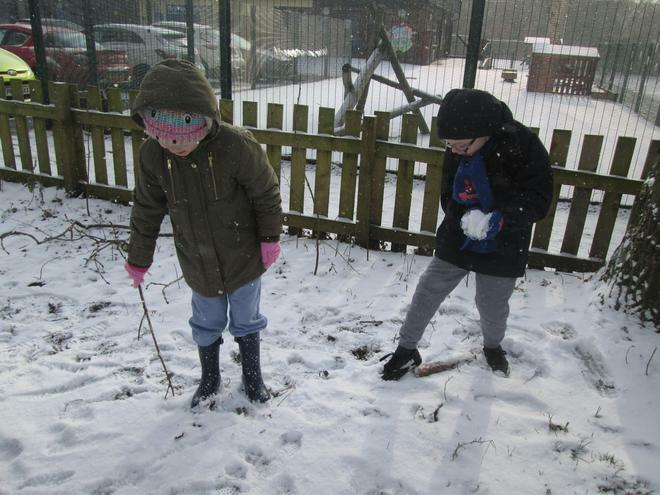 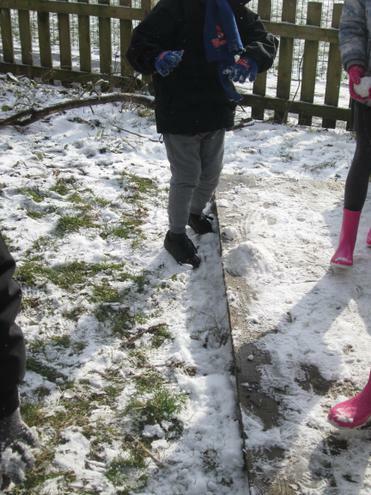 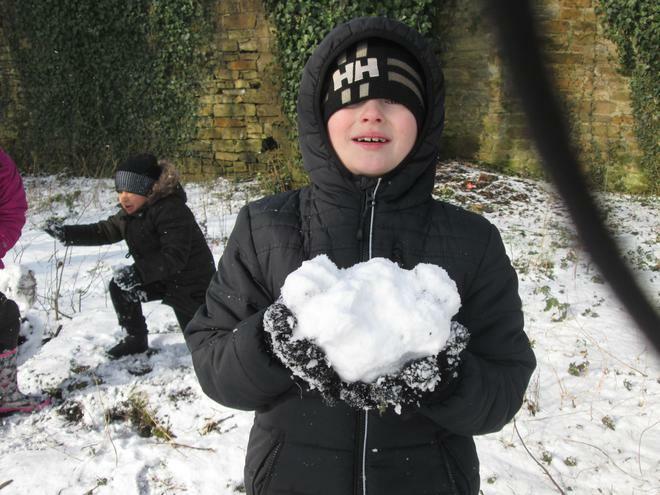 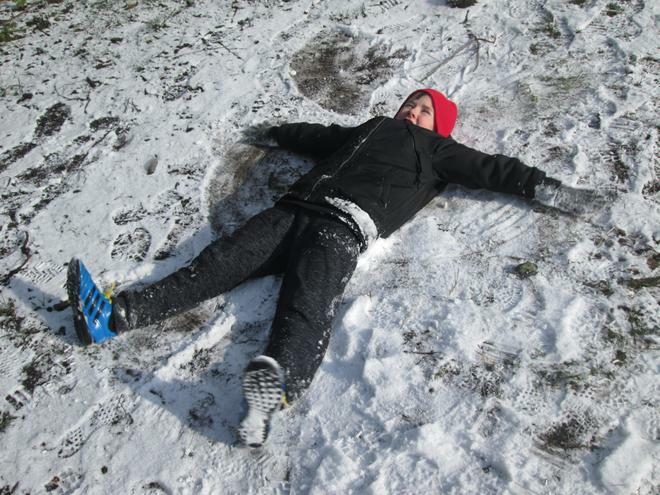 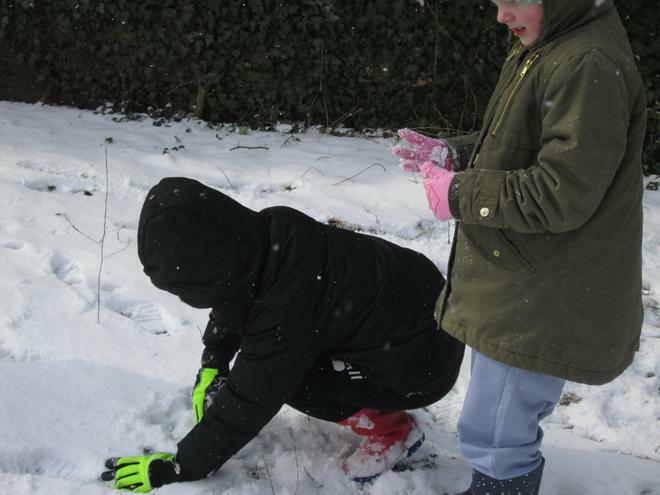 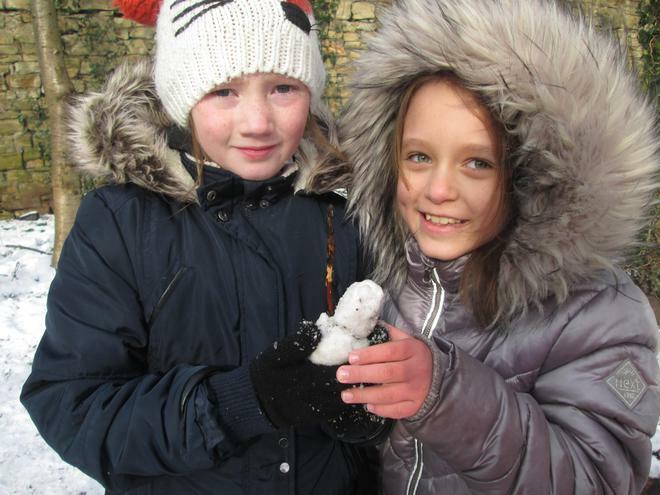 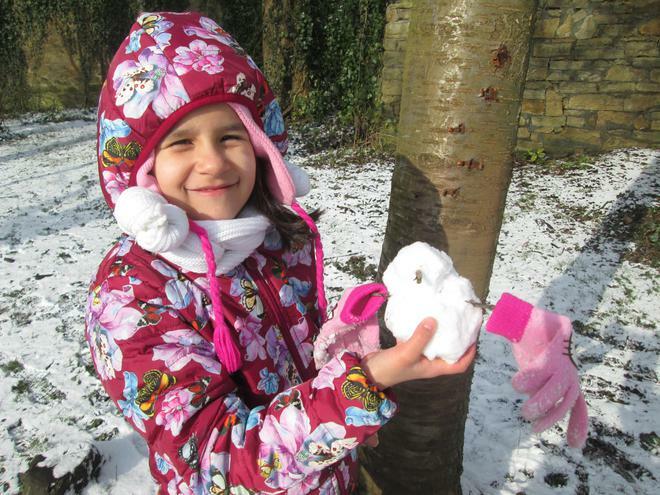 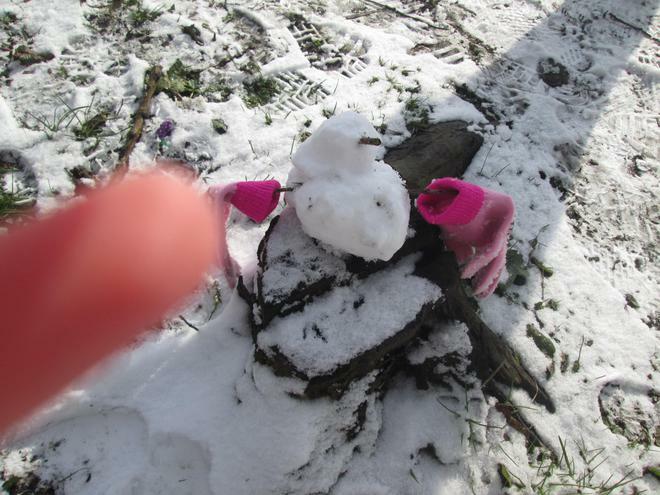 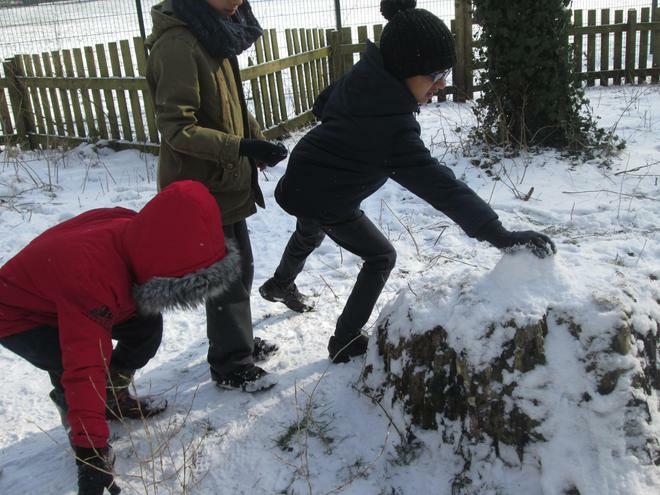 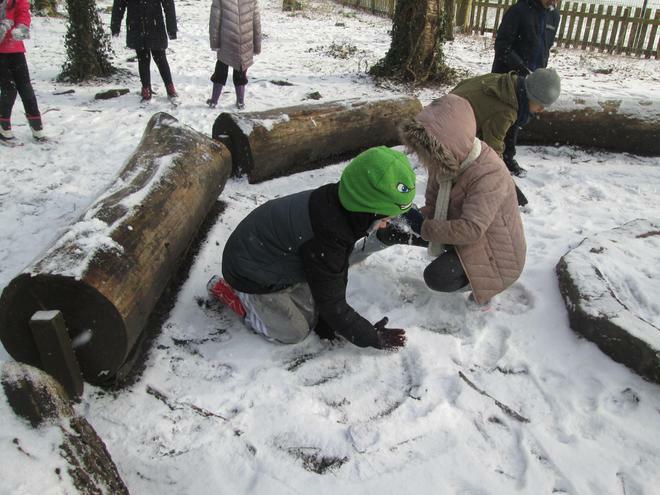 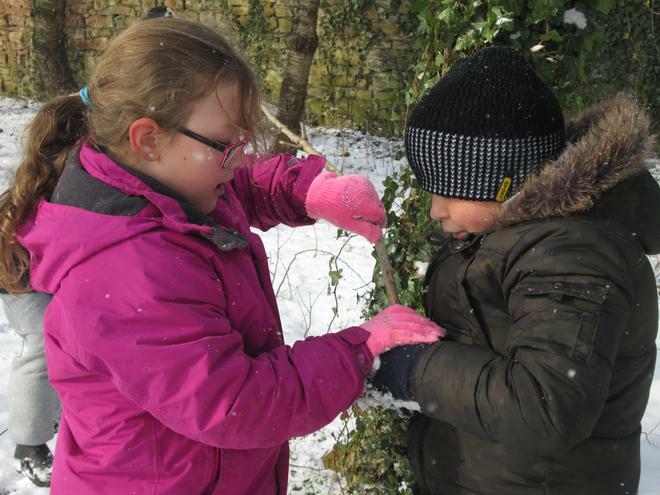 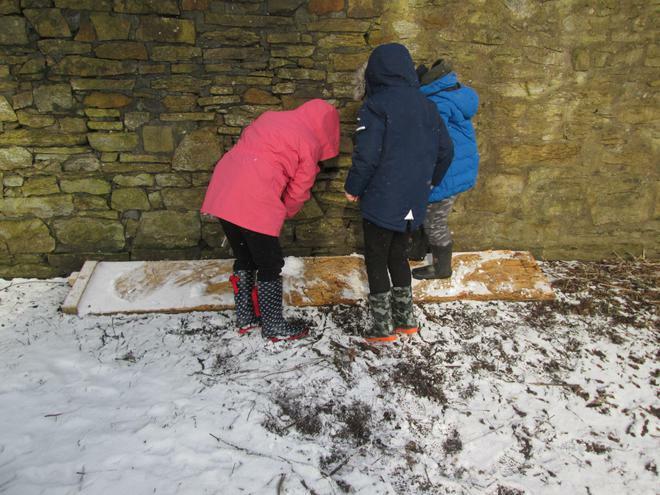 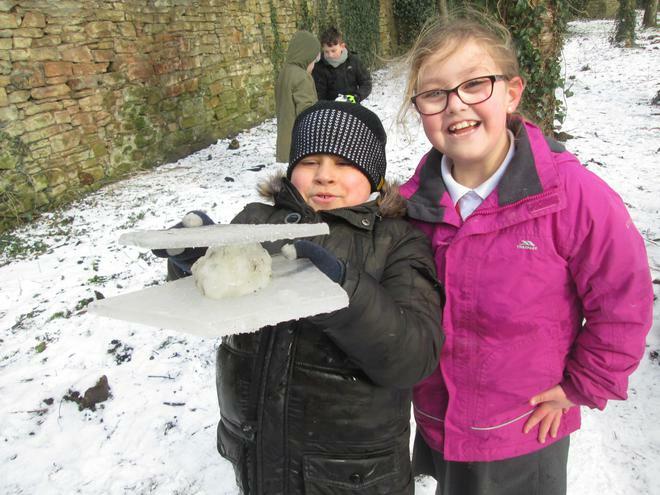 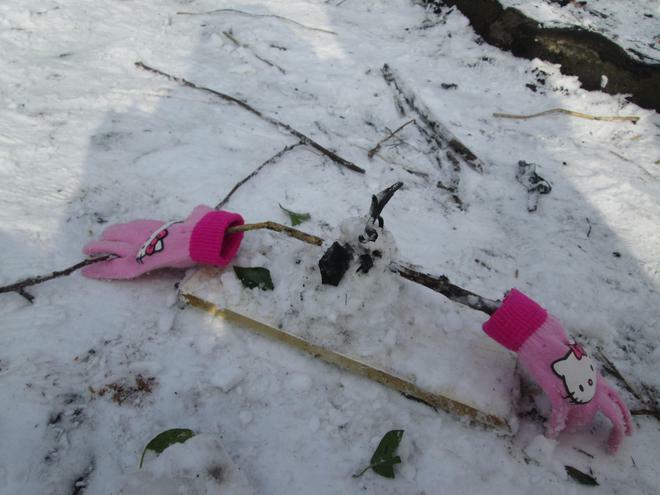 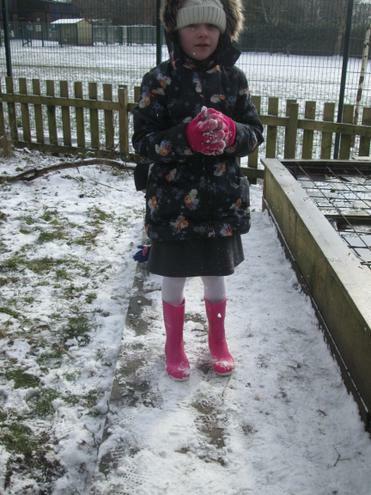 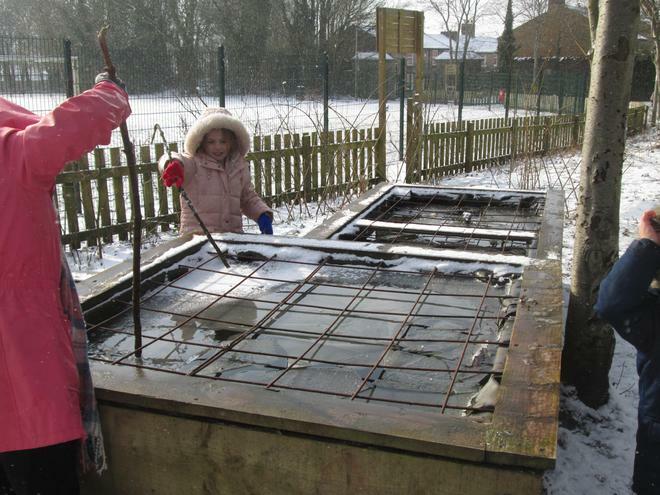 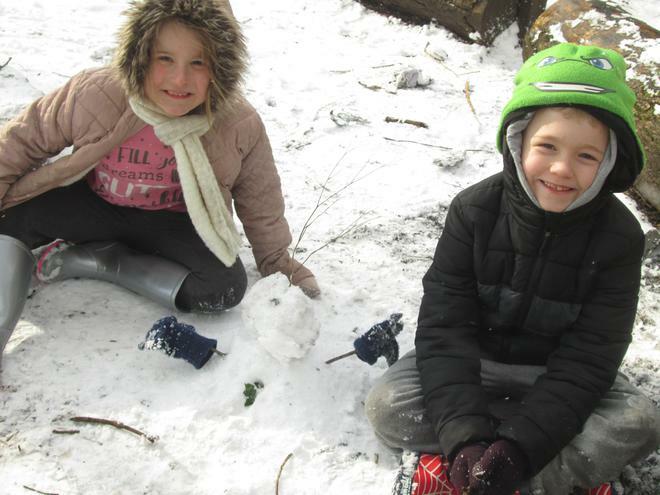 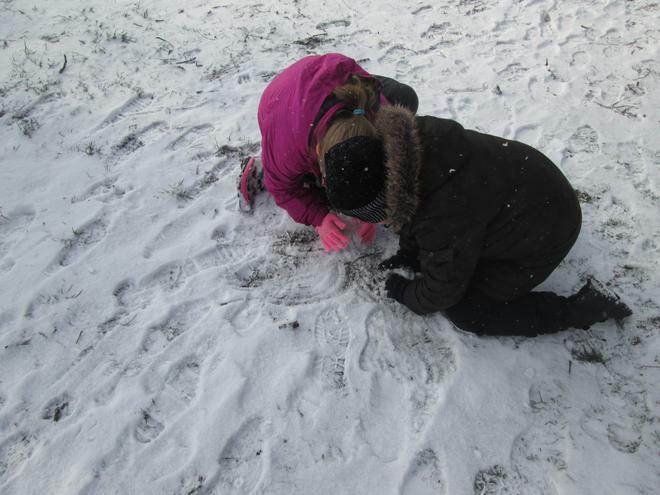 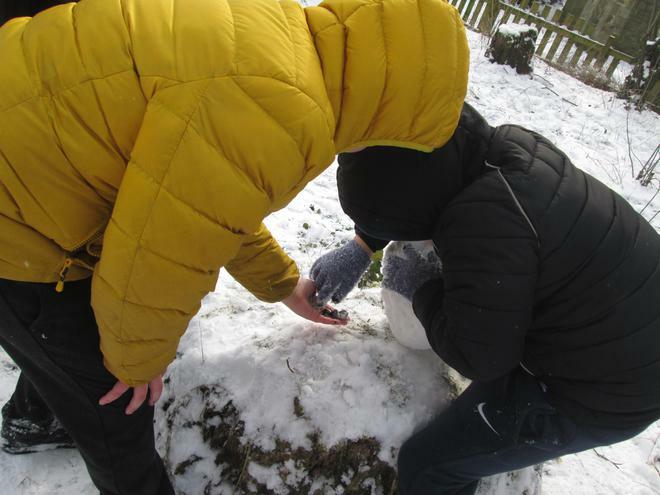 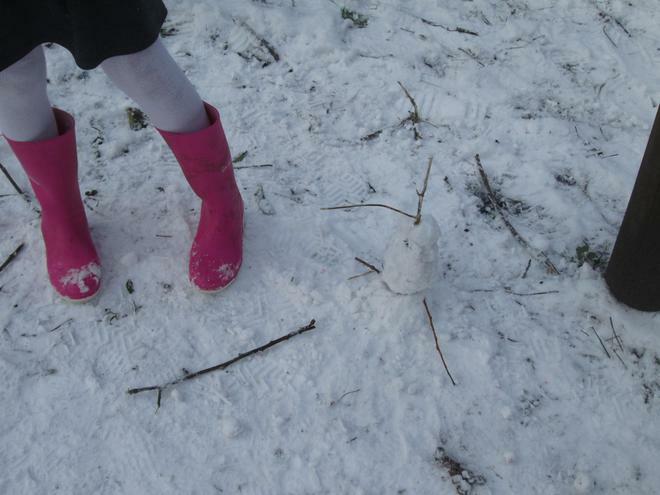 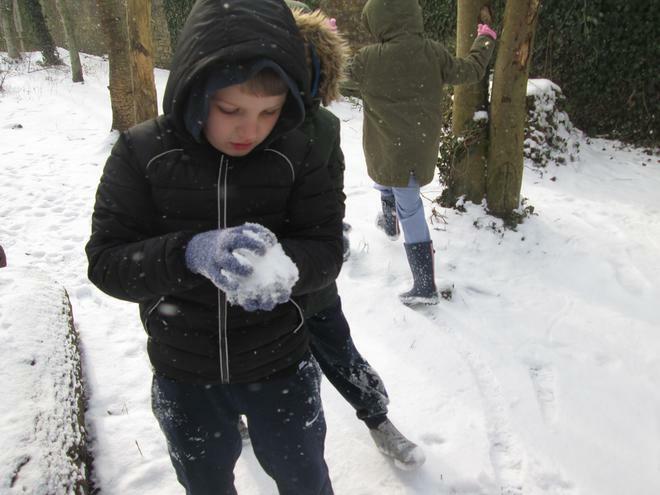 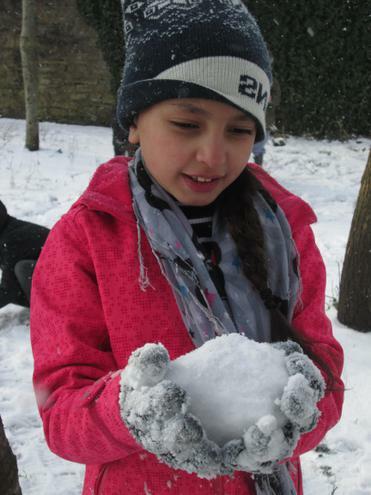 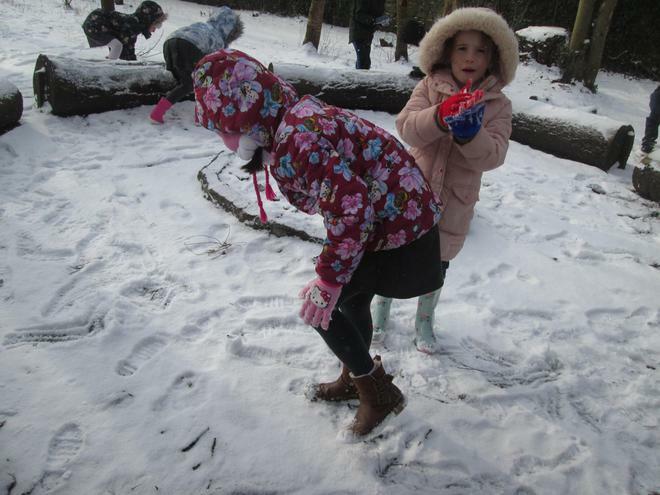 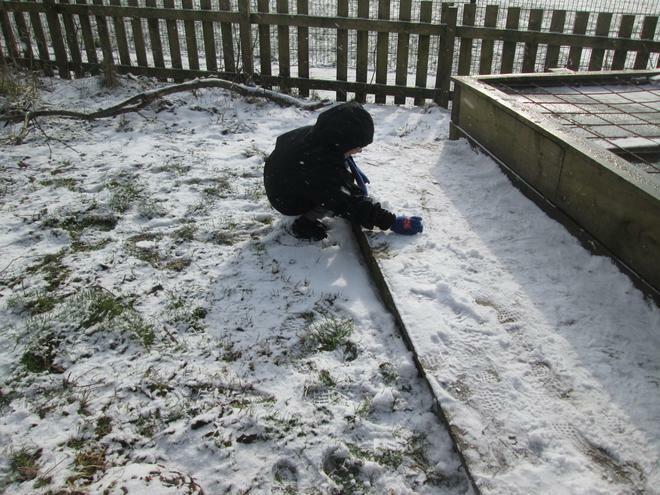 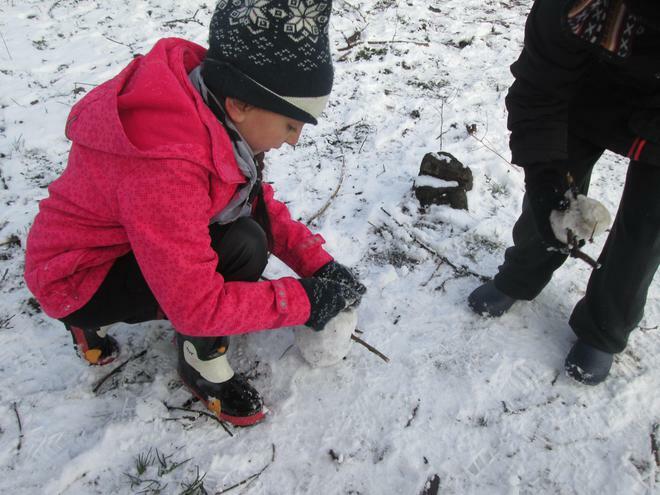 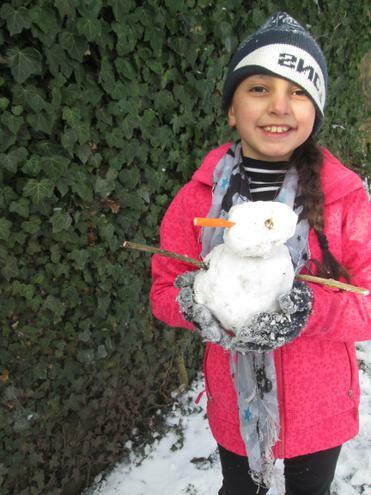 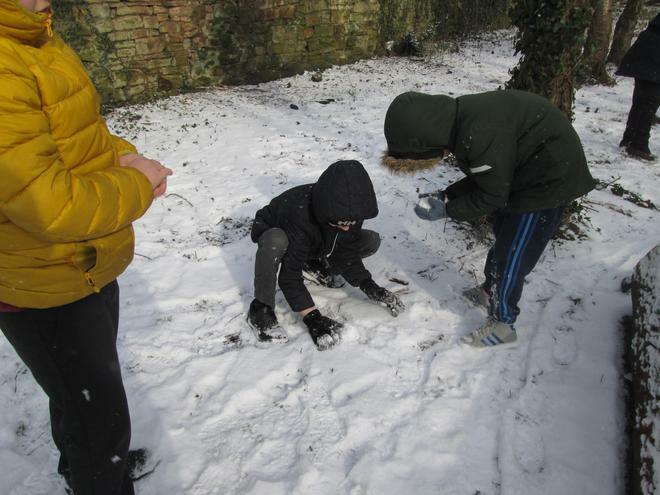 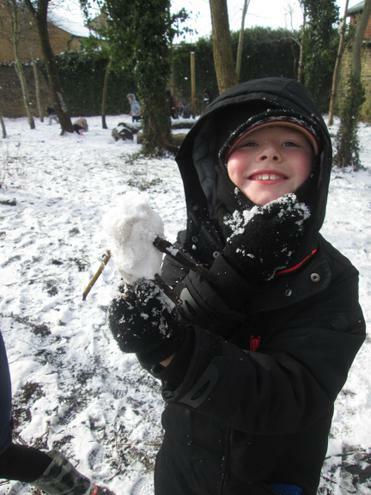 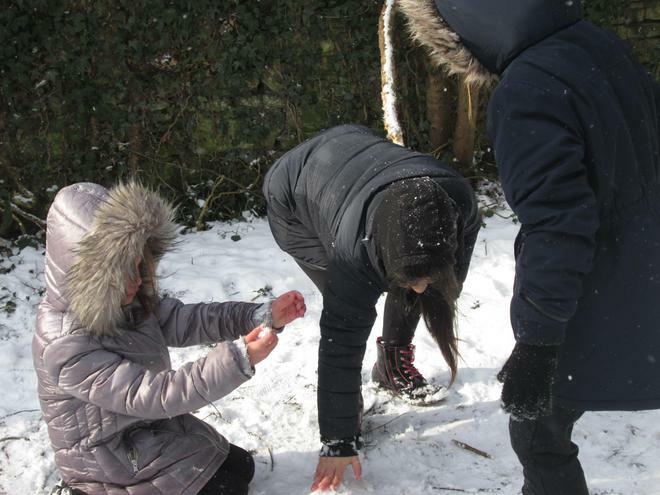 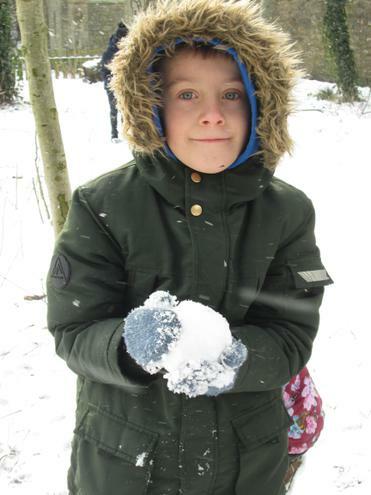 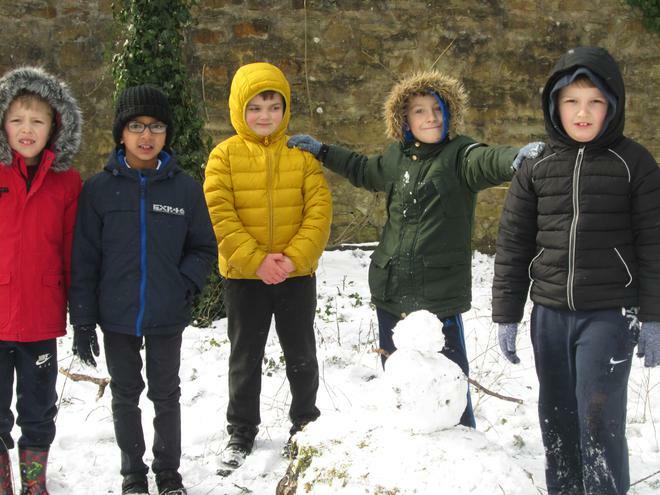 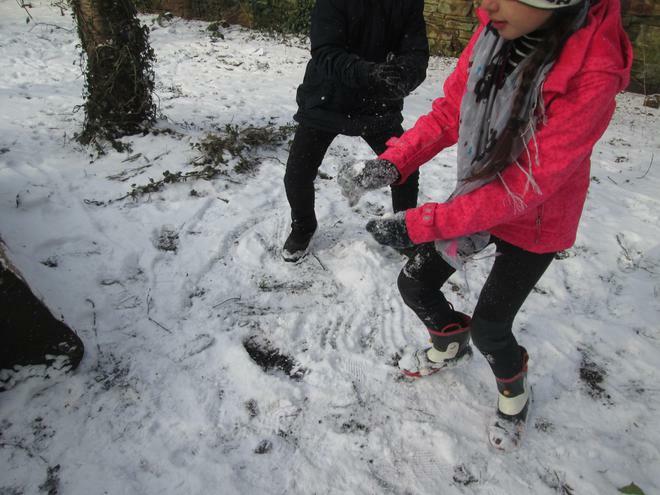 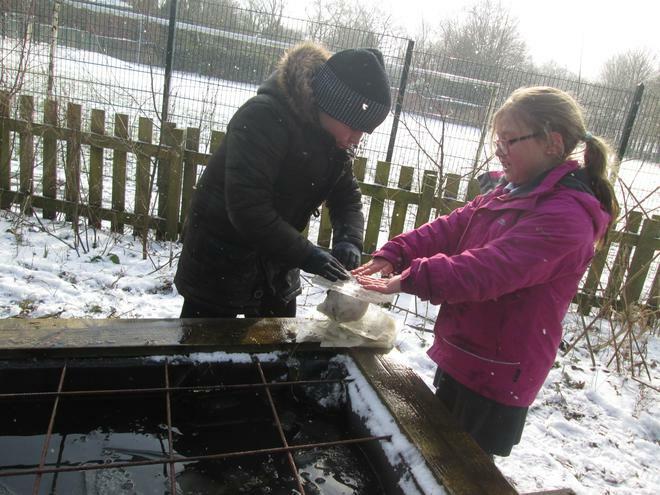 Year Three-fun in the snow! 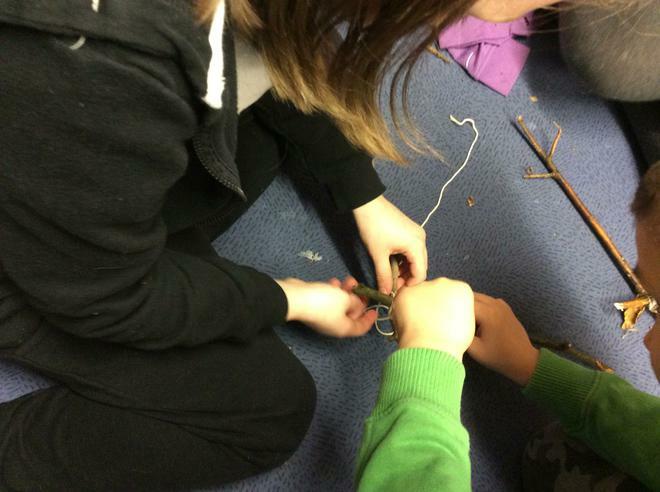 Learning how to tie a clove hitch, and starting to make picture frames. 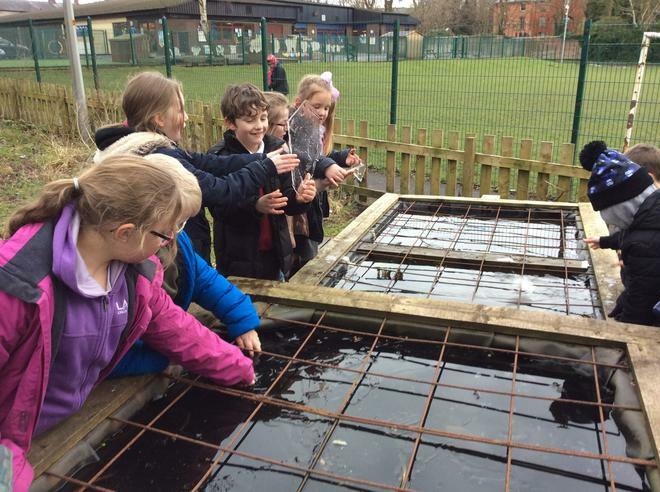 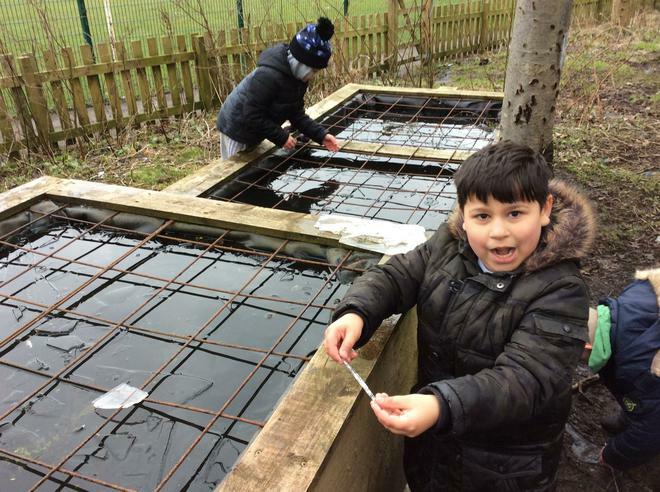 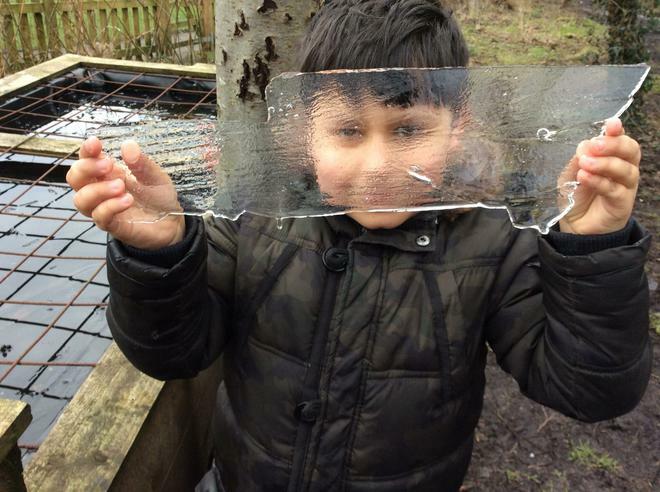 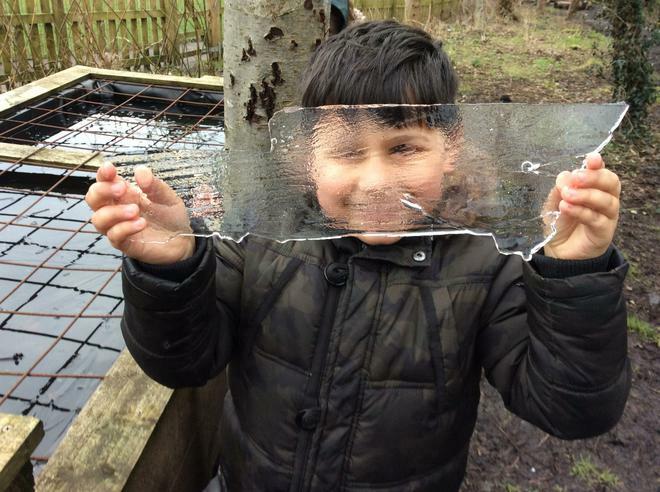 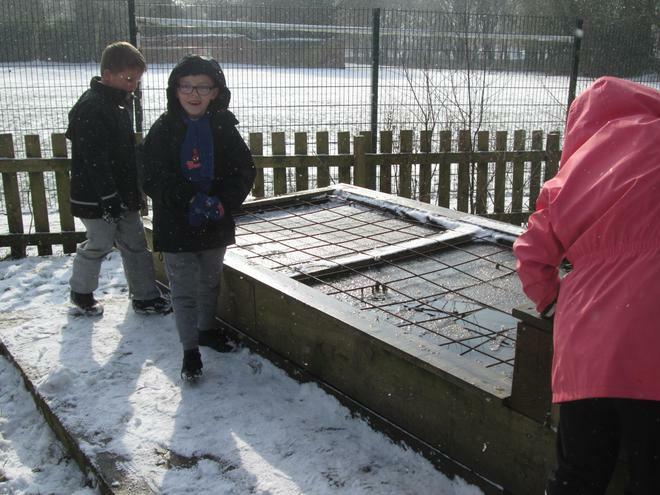 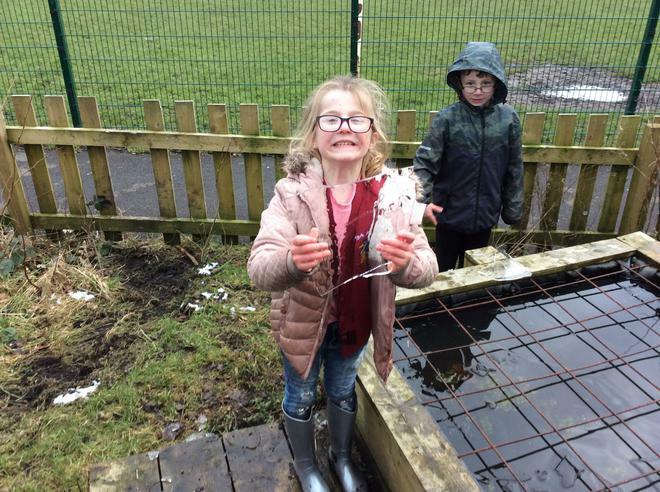 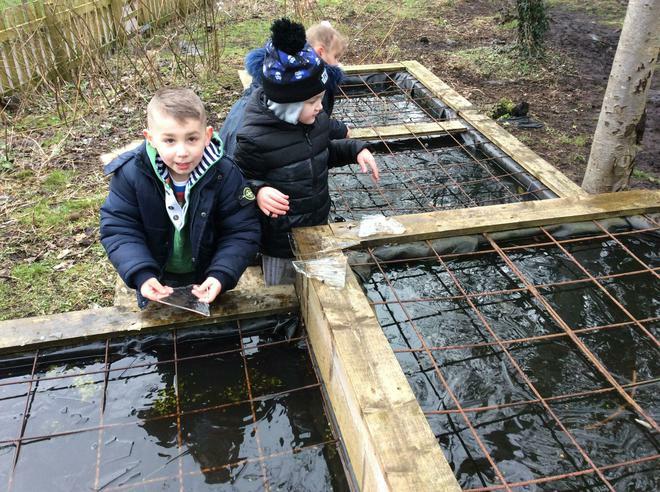 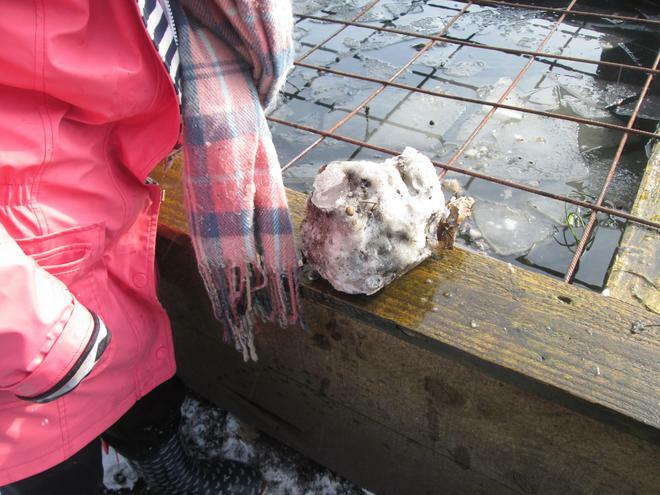 Exploring and playing with the ice! 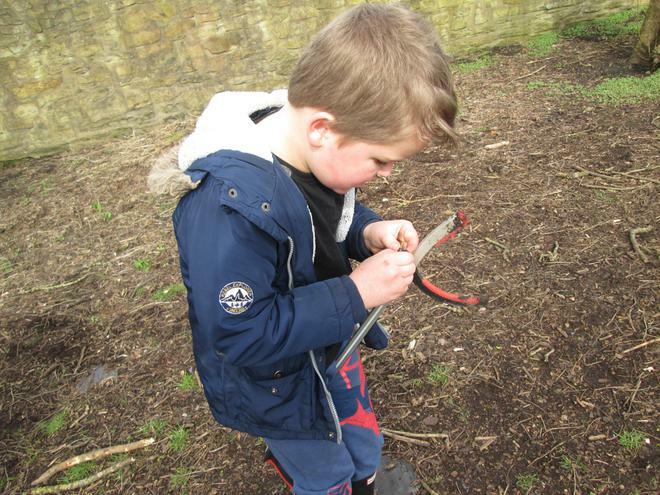 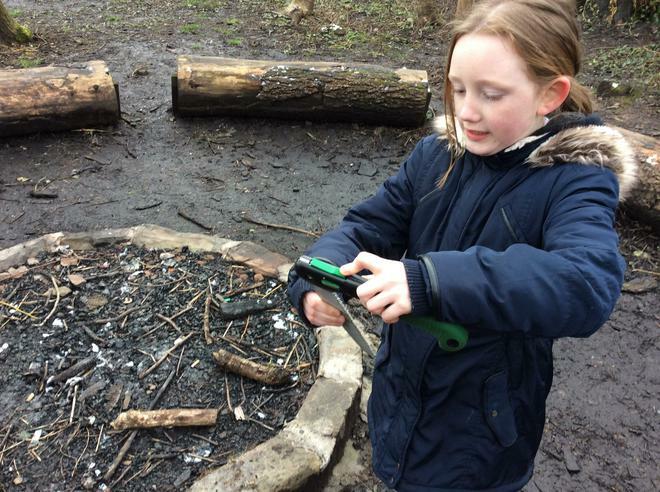 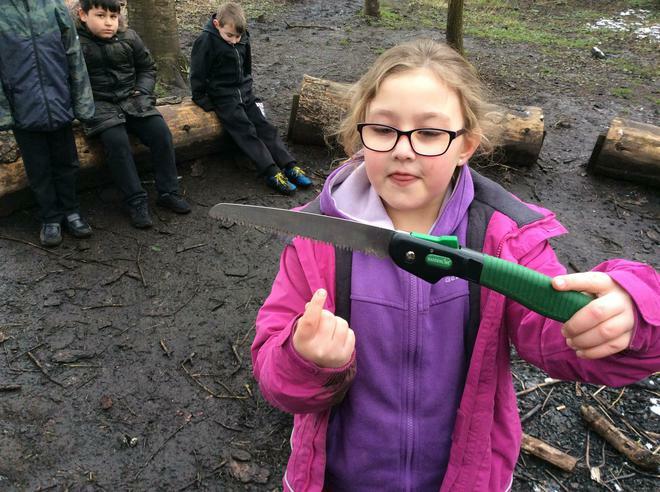 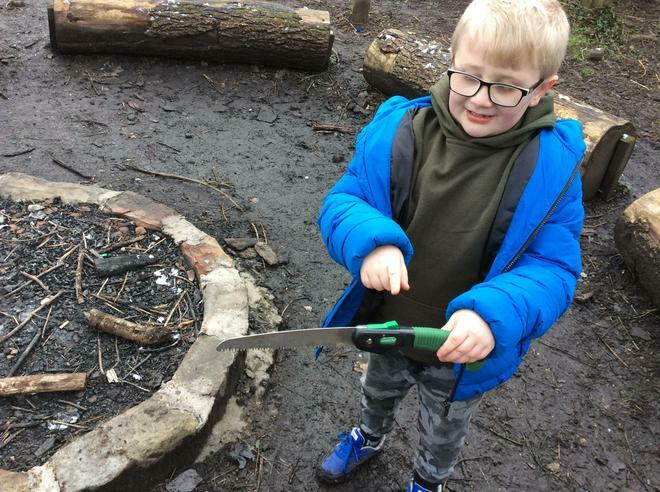 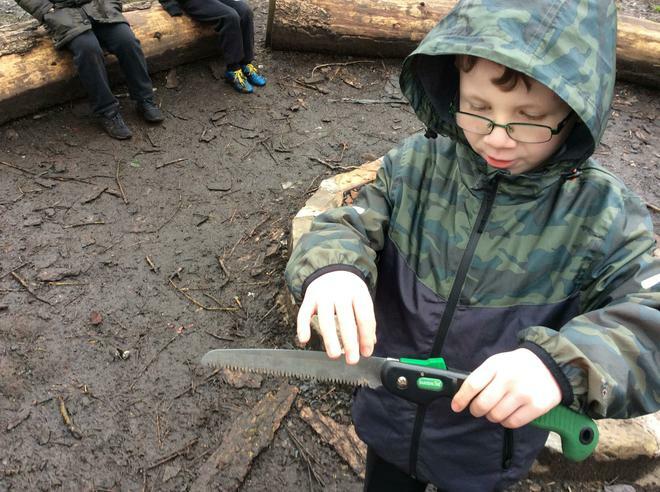 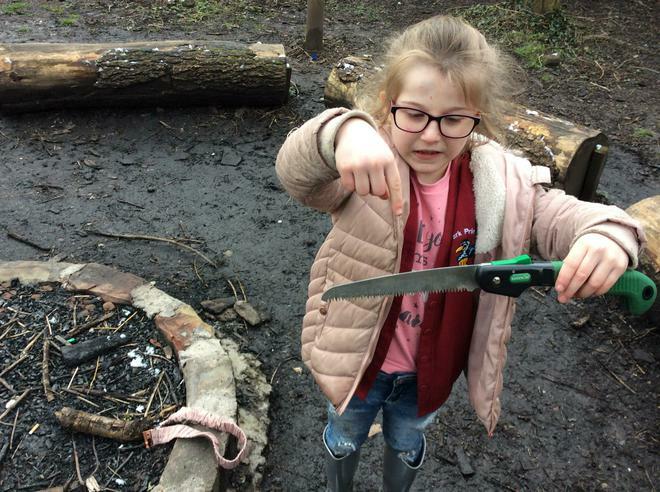 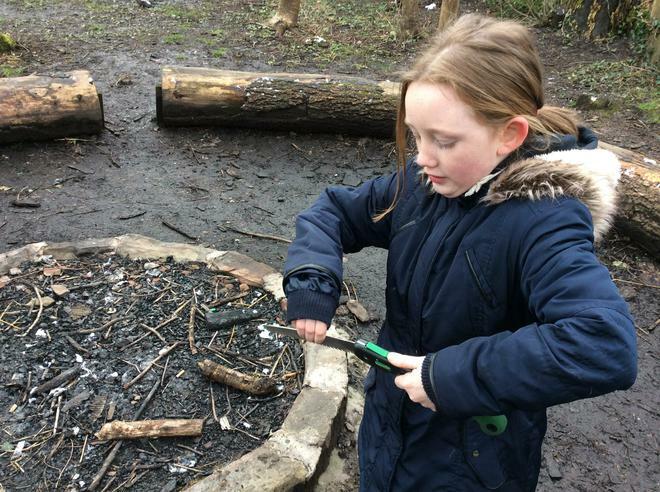 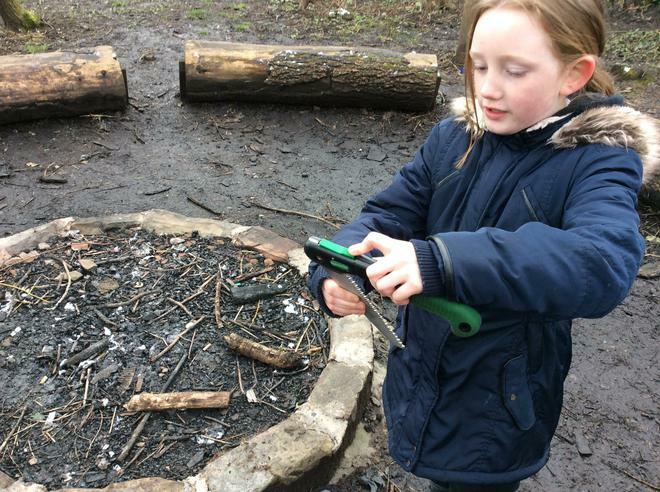 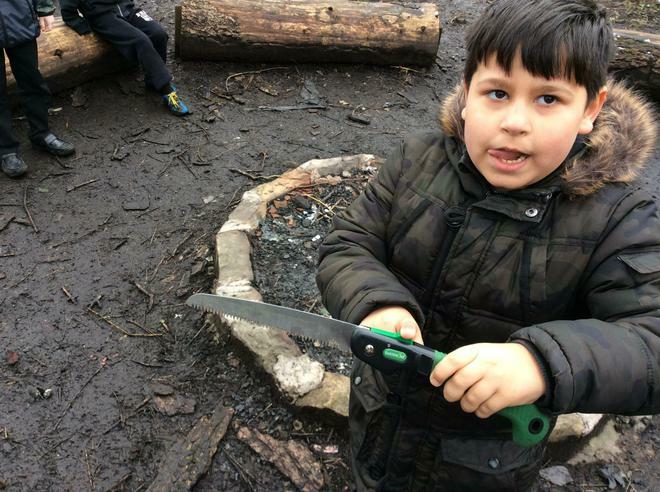 Year 3 learning how to use a hand saw correctly by doing our "tool talks"
We had a wonderful afternoon in Forest School today. 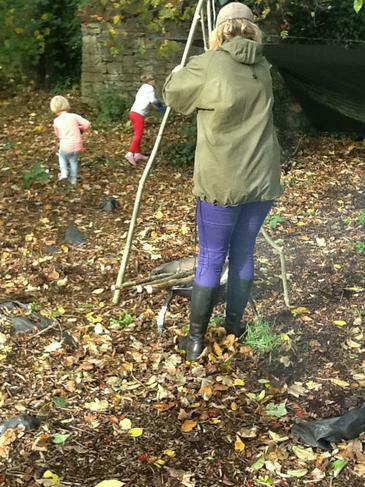 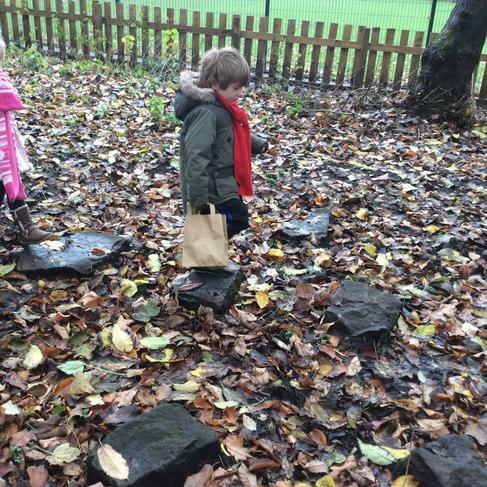 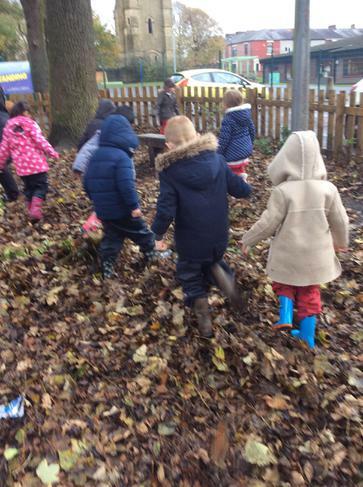 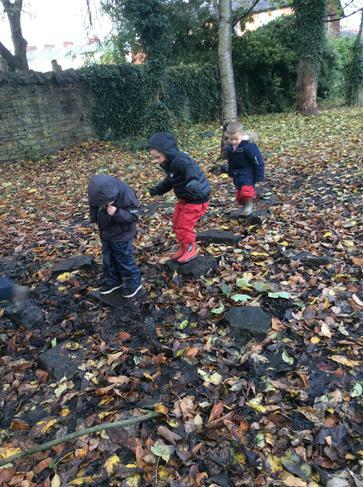 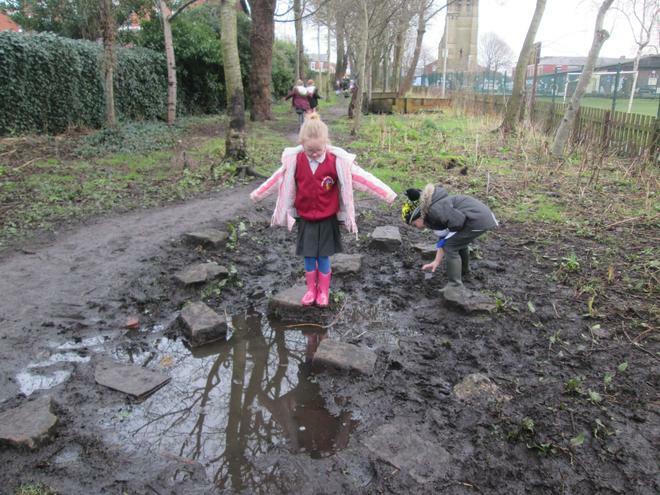 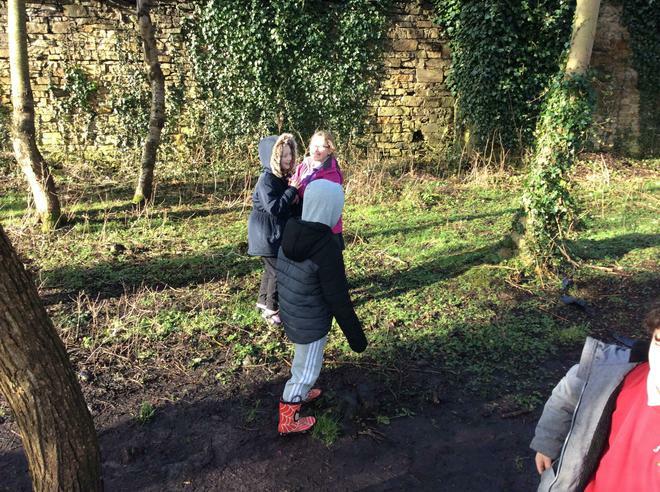 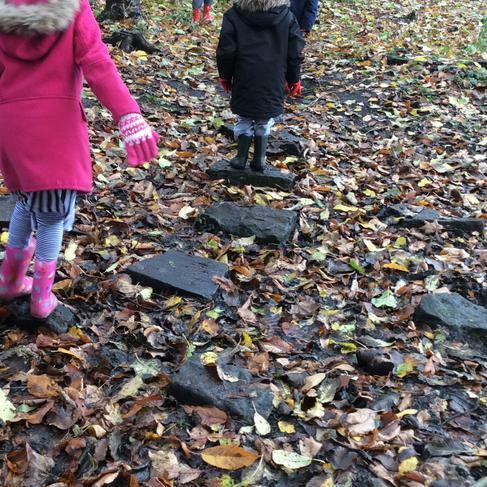 We had great fun kicking leaves and balancing on the stepping stones in the mud! 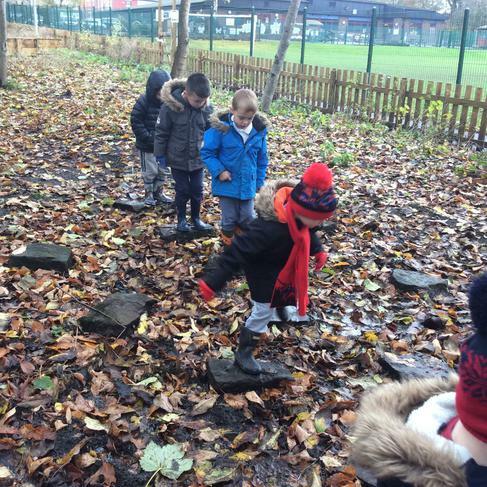 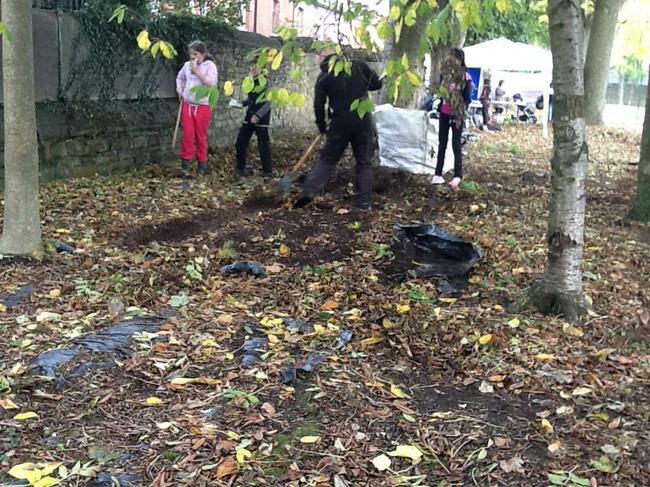 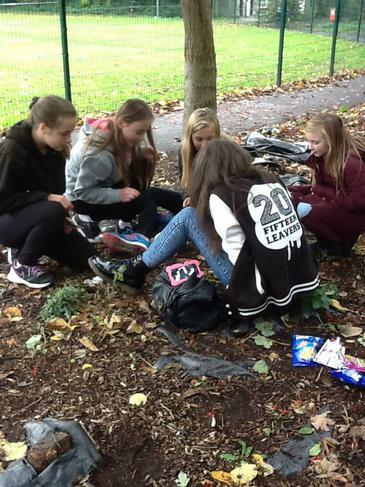 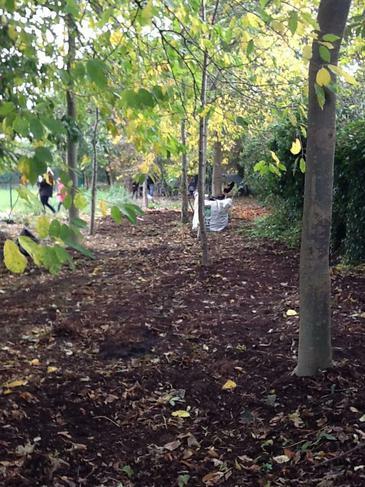 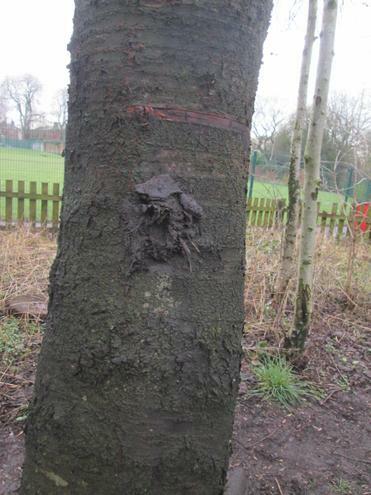 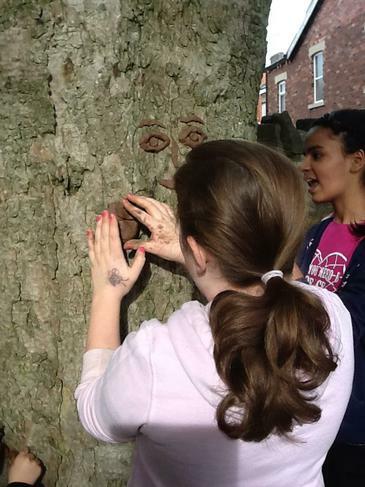 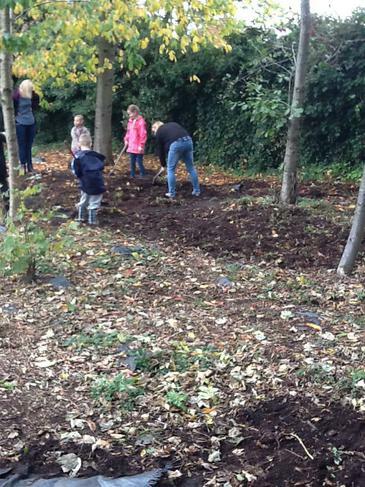 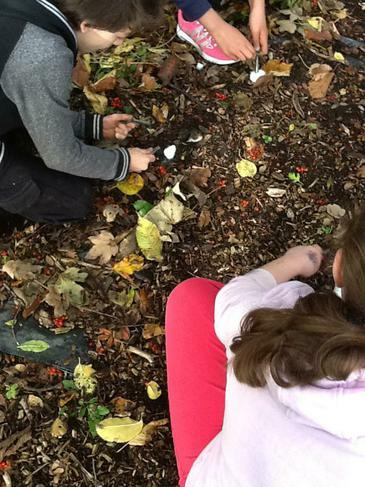 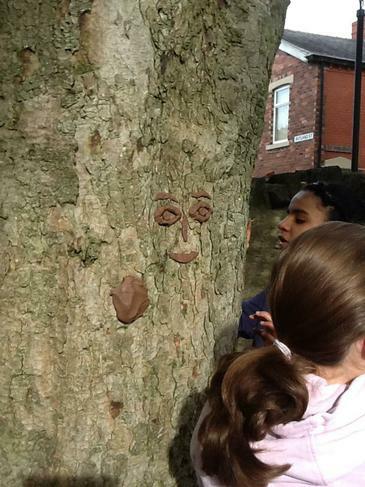 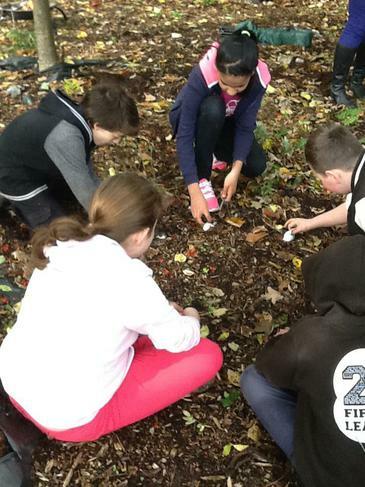 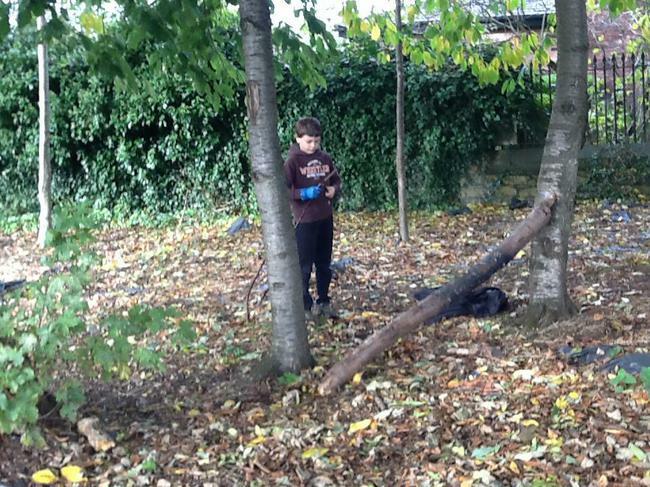 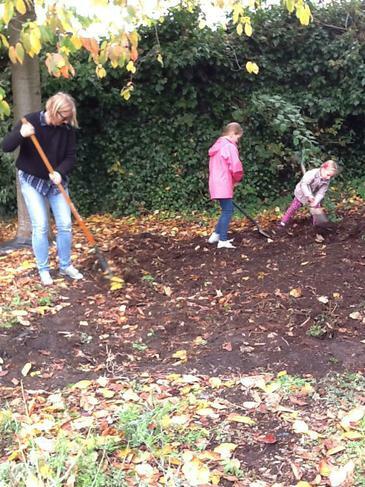 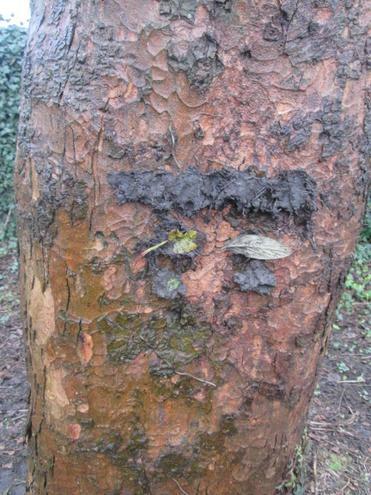 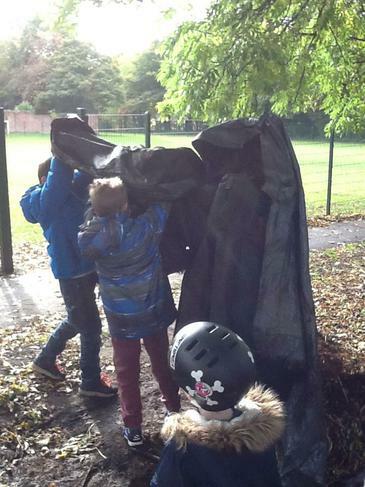 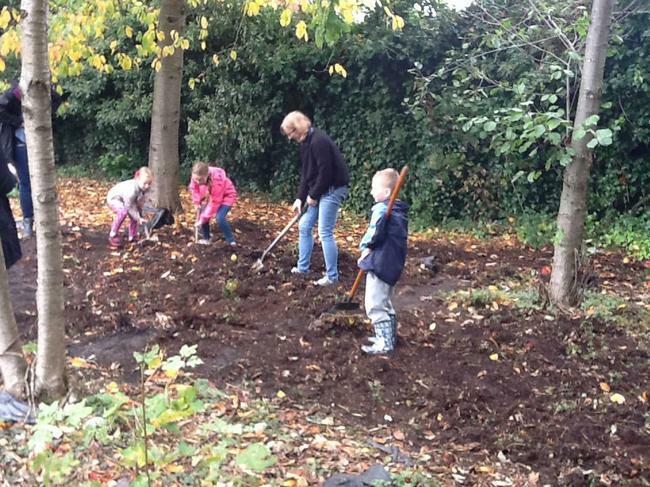 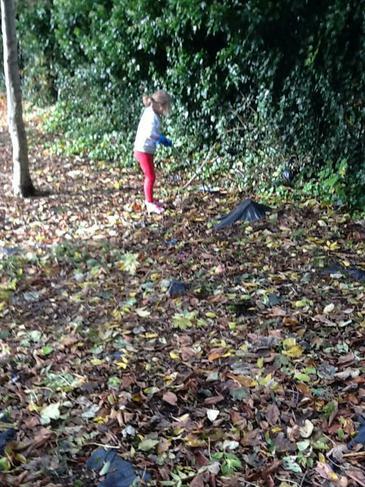 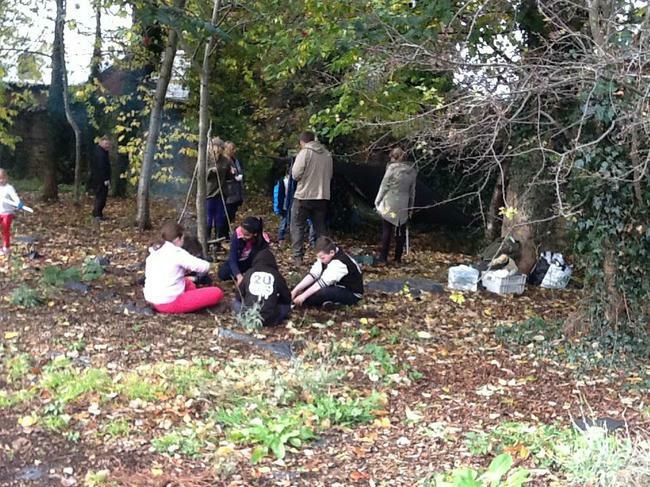 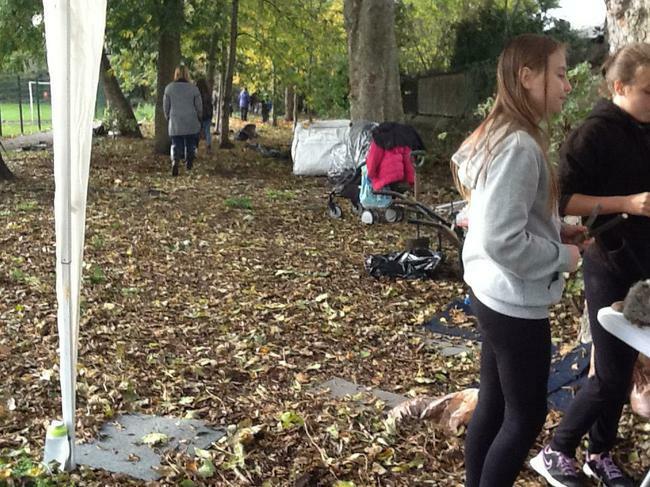 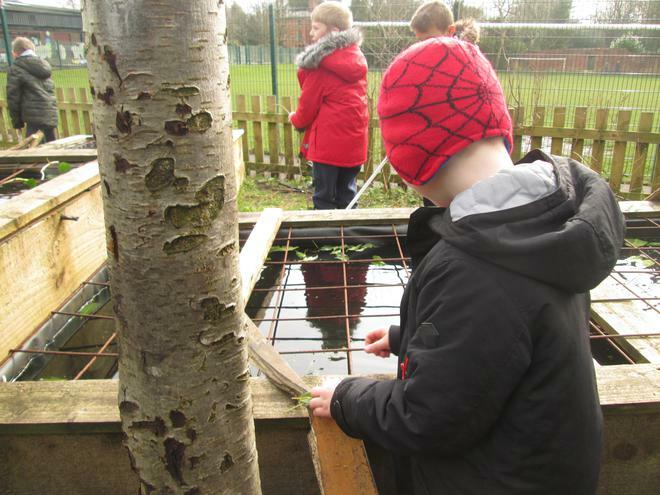 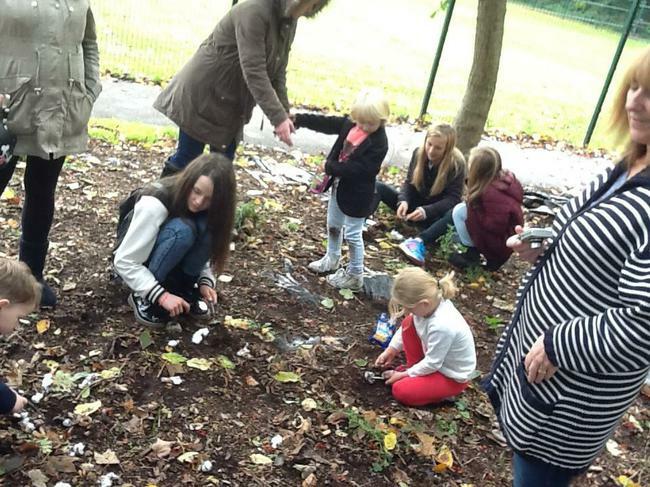 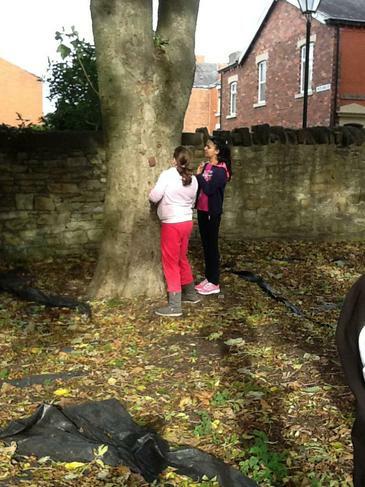 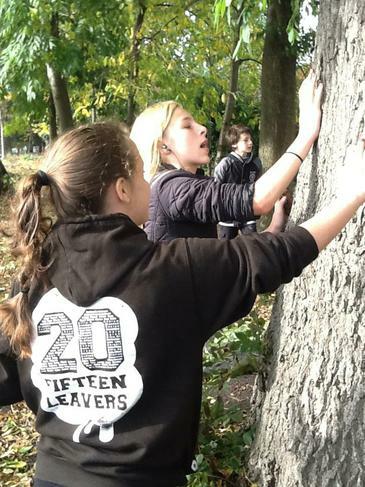 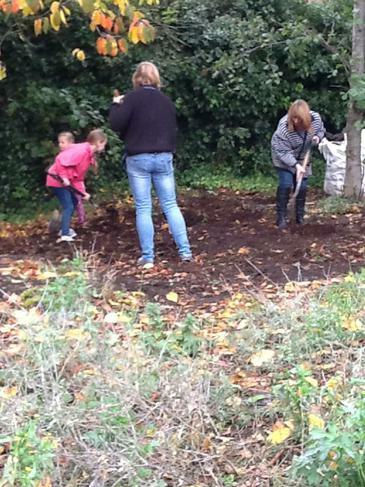 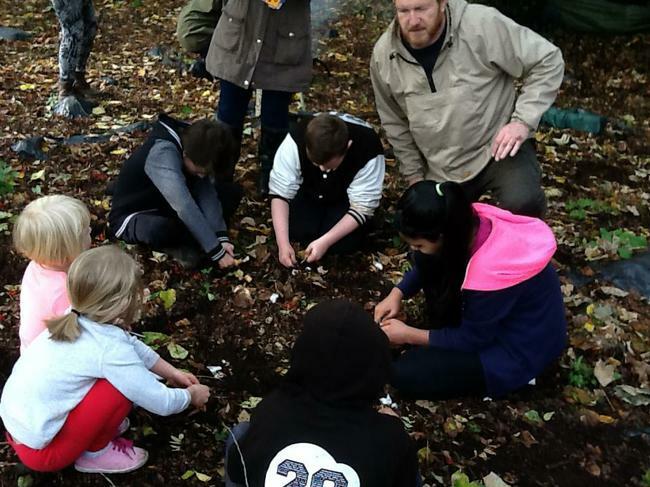 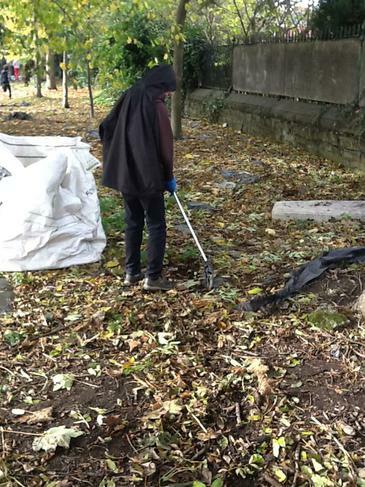 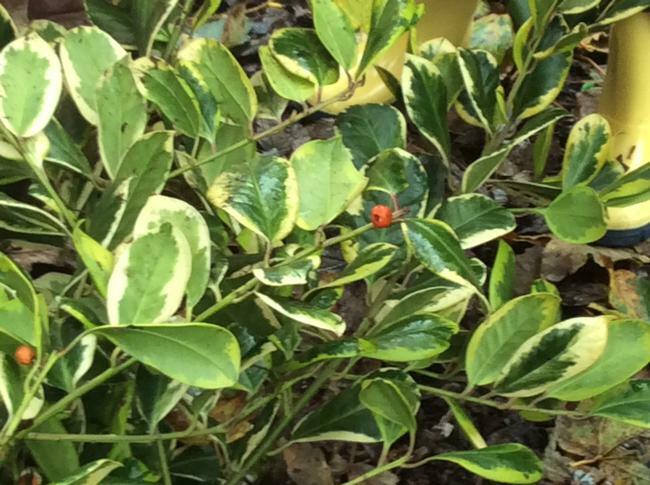 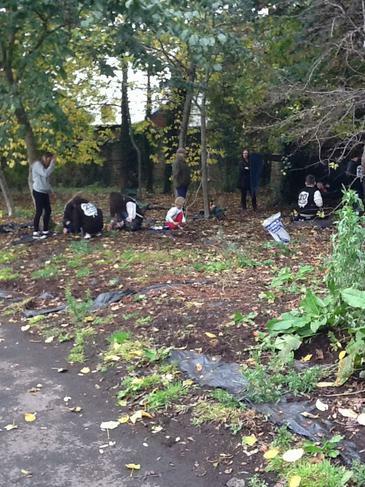 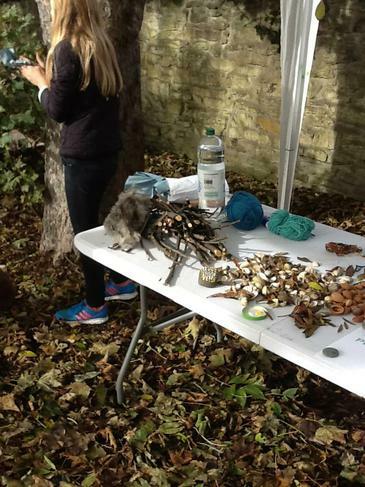 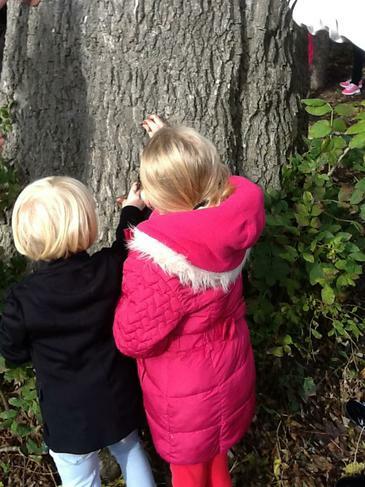 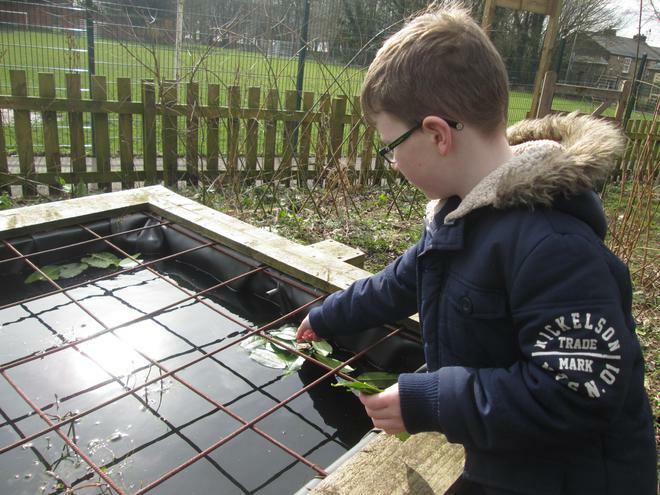 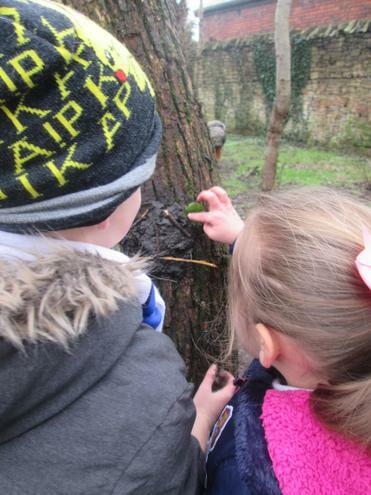 The children looked at the different changes we could see such as the leaves changing colour and falling from the trees. 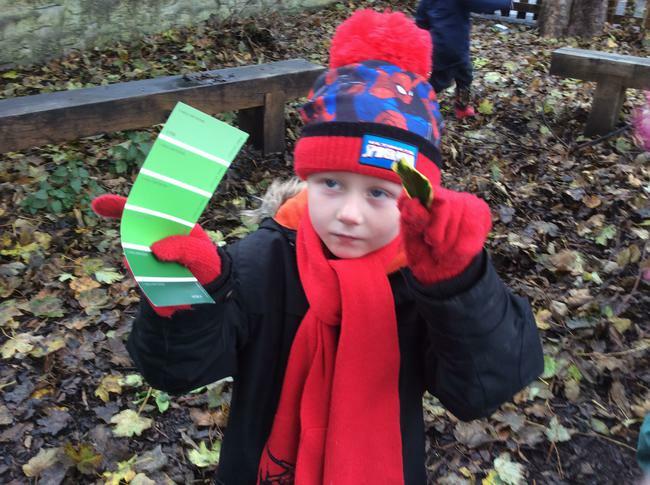 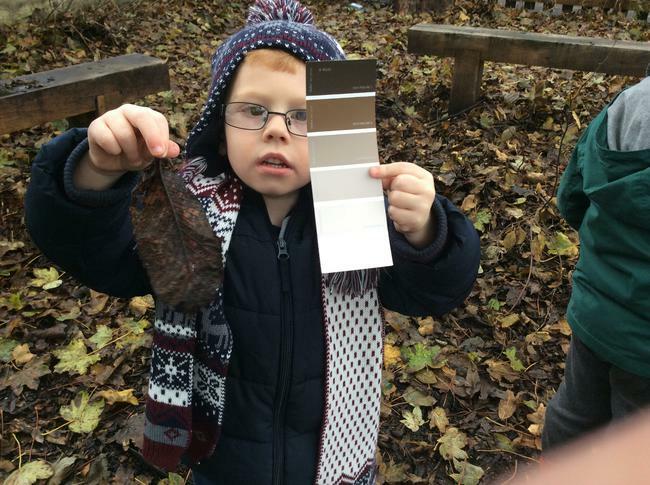 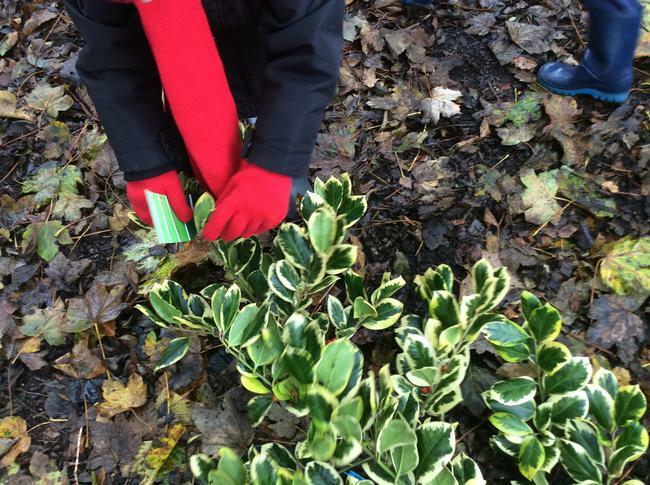 We used colour charts to hunt for leaves which were the same colour as our colour charts. 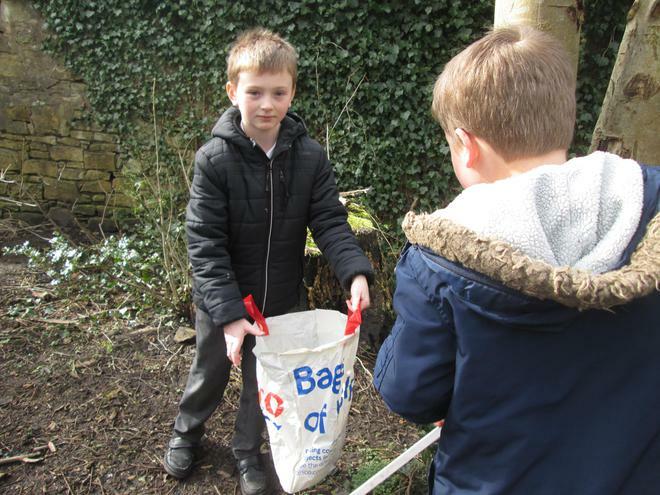 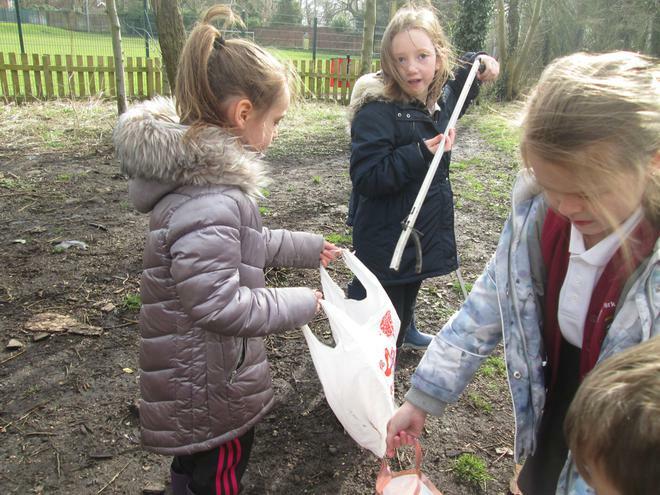 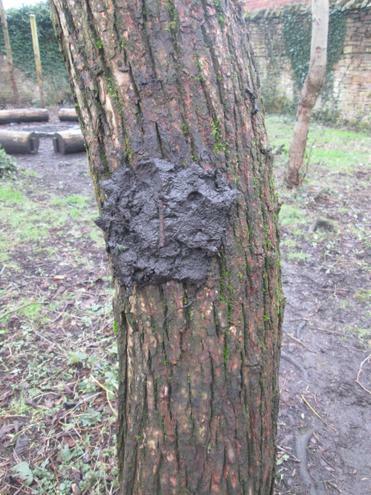 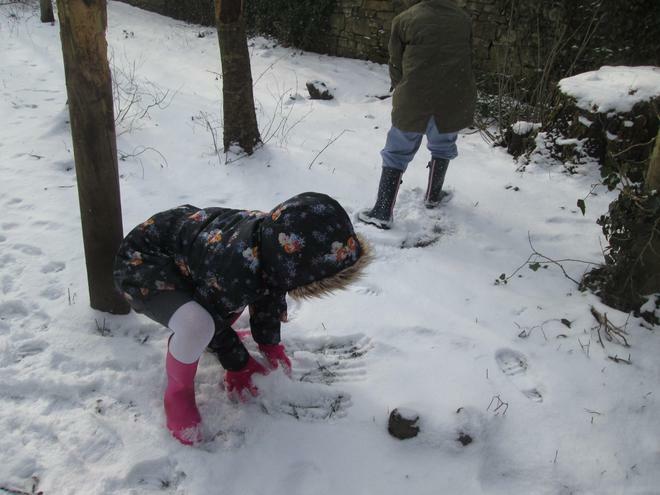 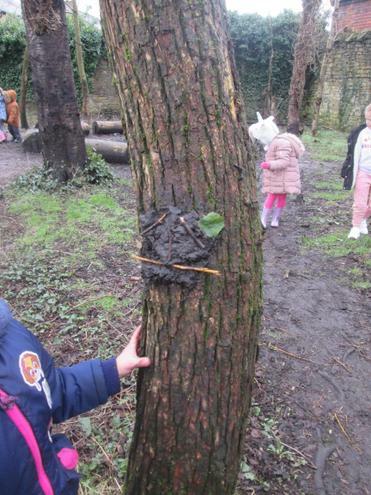 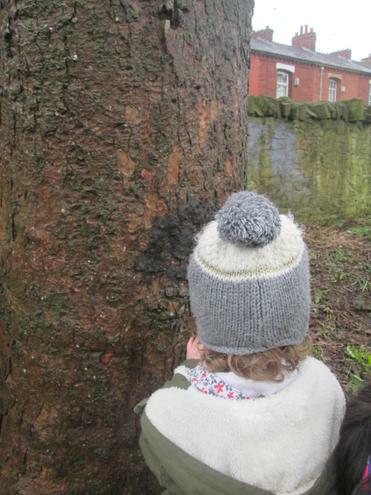 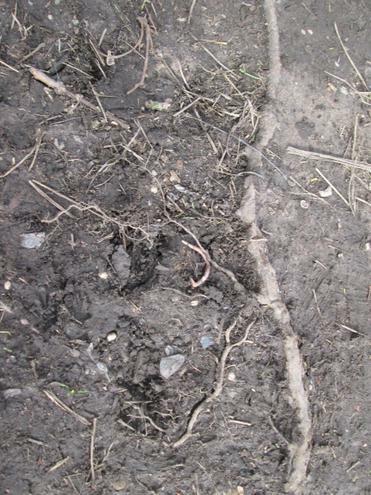 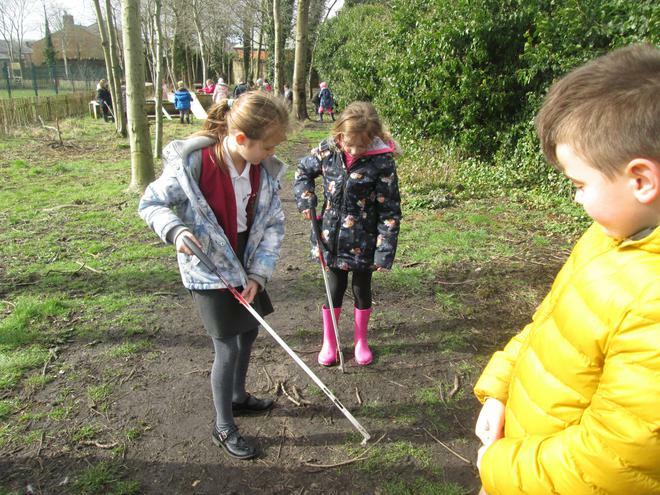 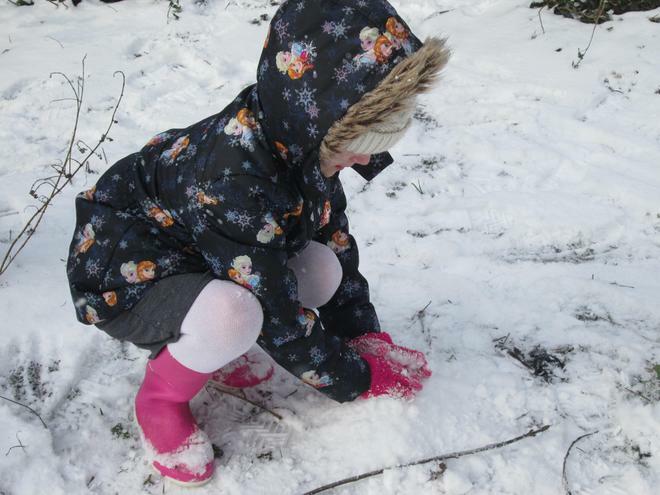 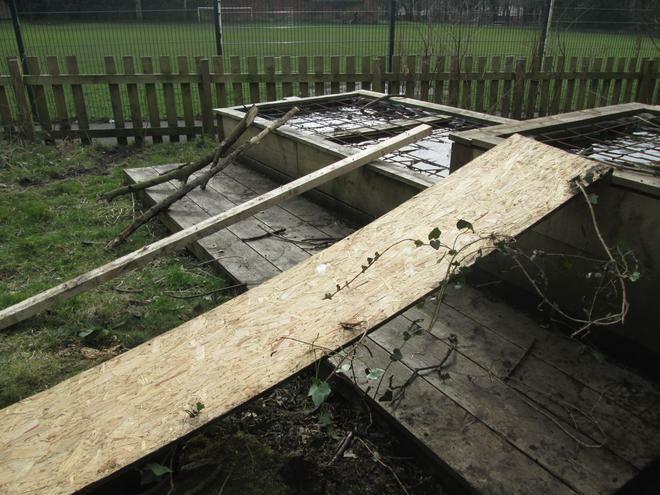 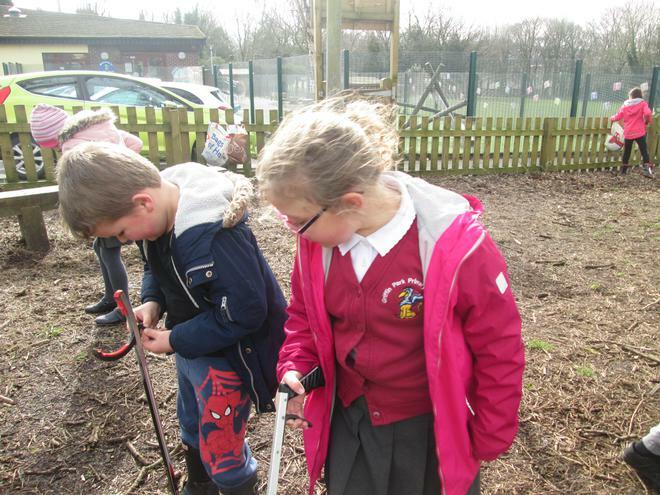 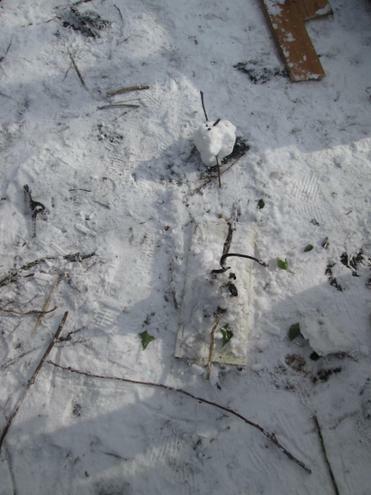 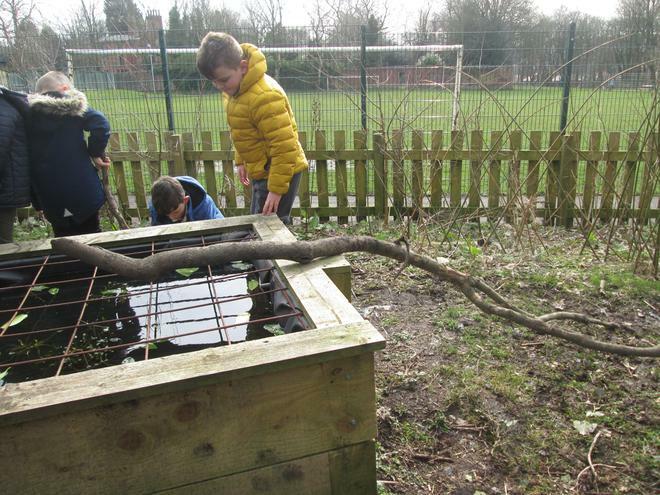 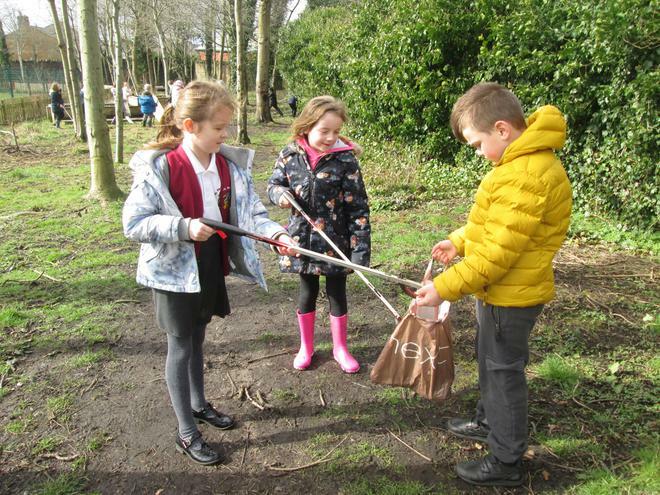 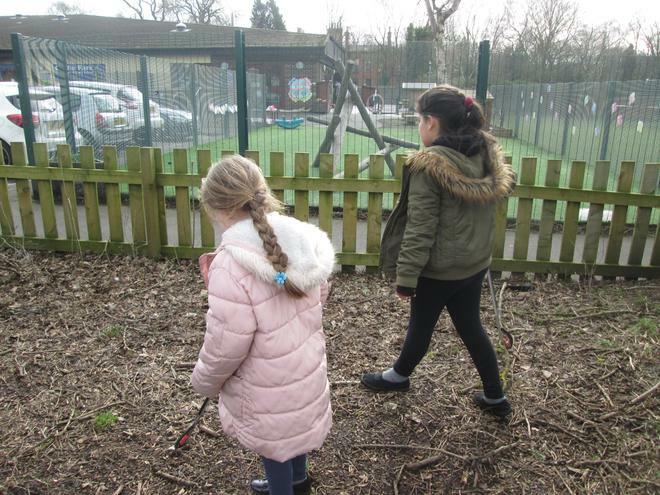 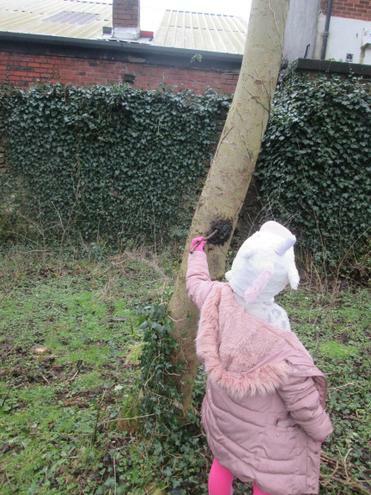 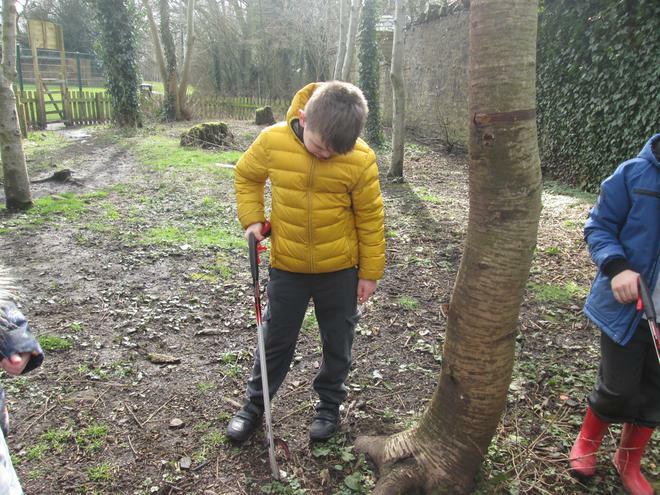 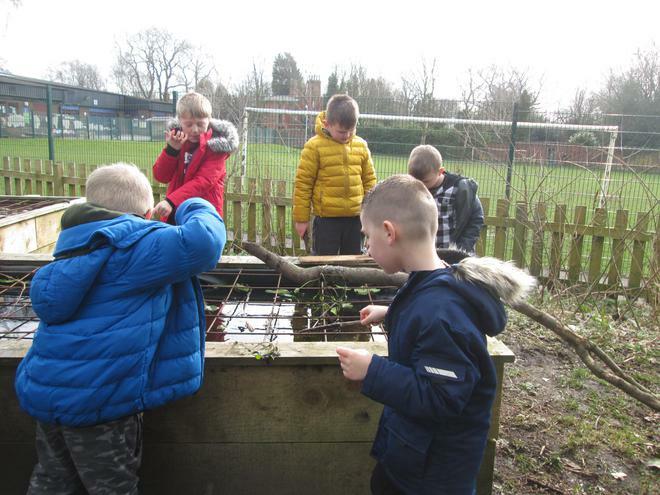 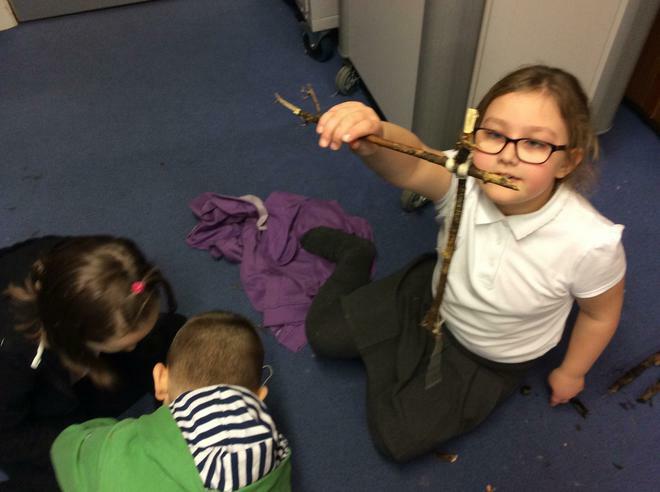 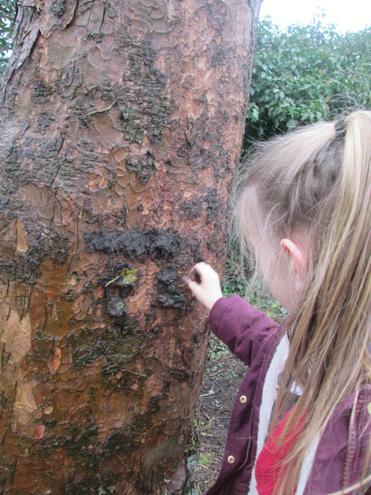 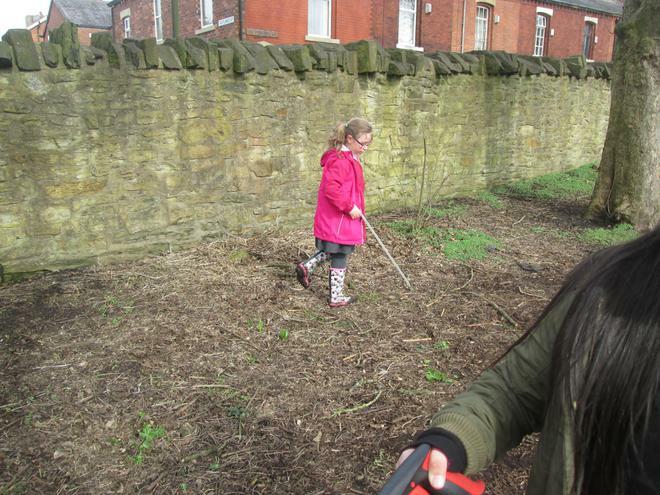 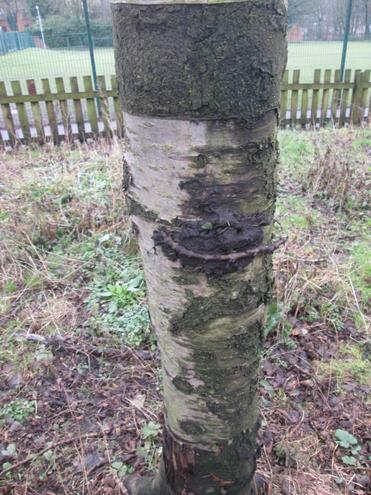 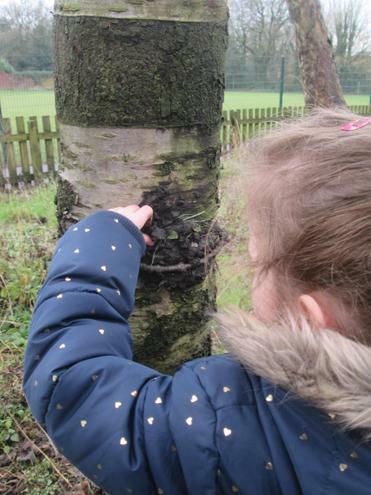 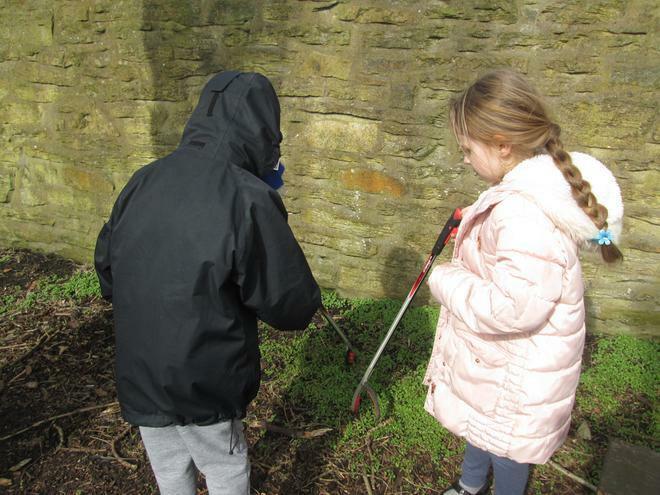 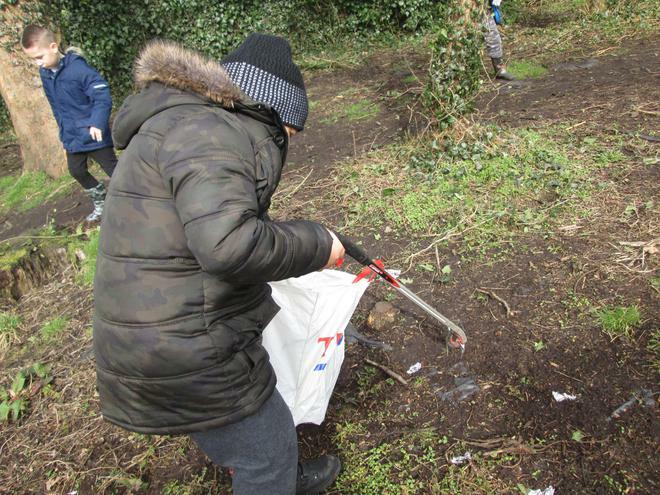 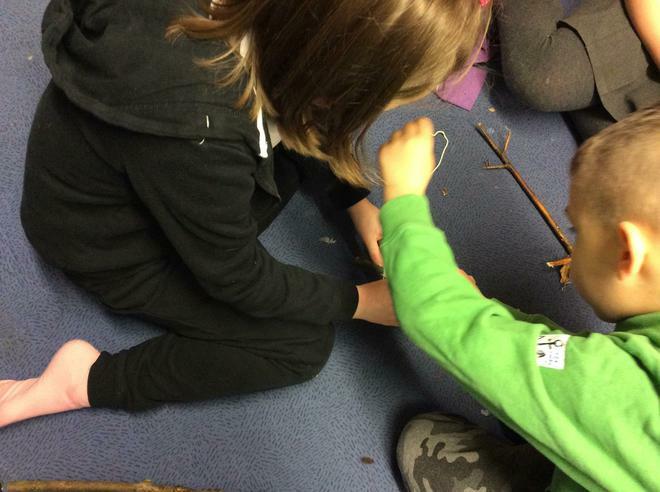 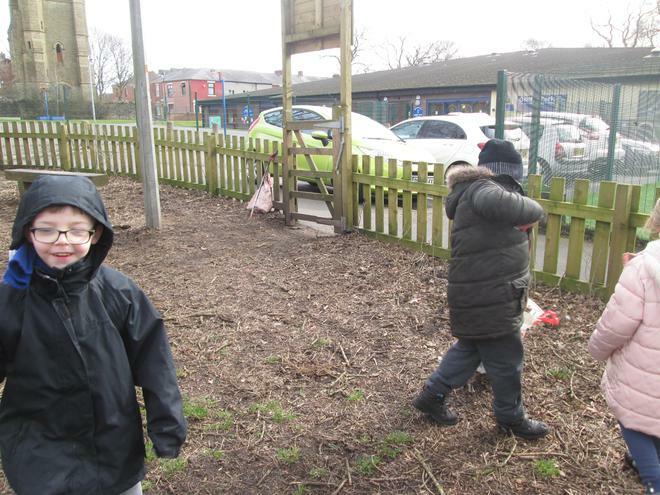 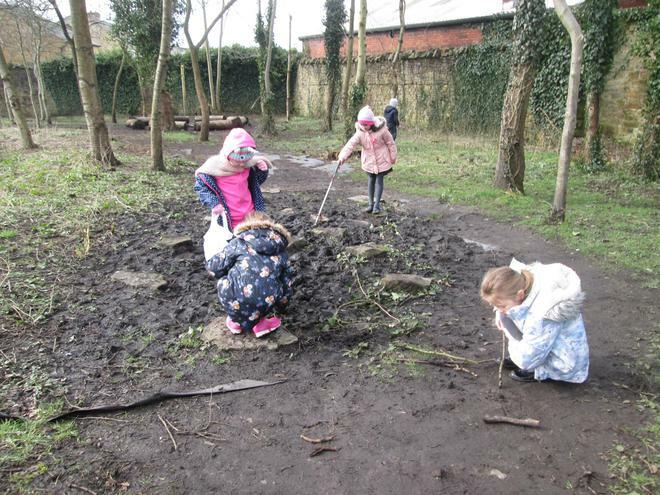 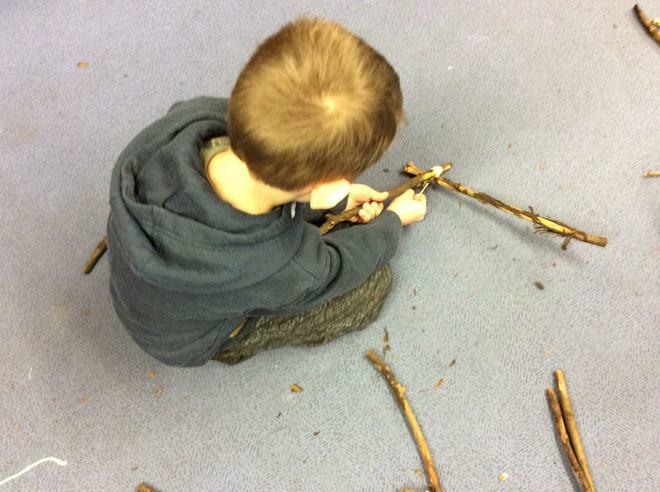 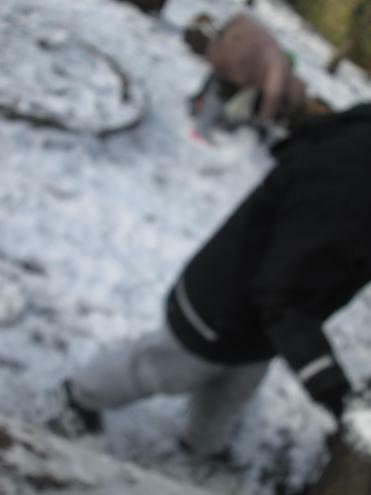 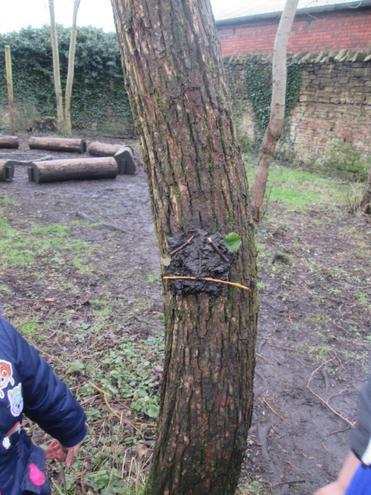 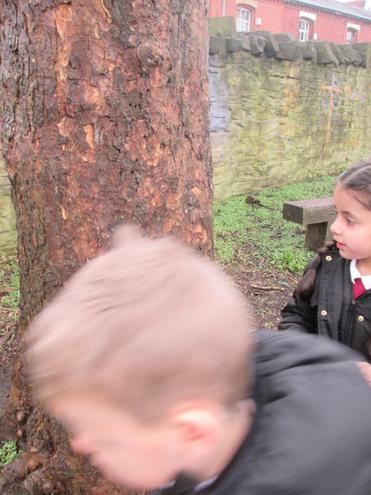 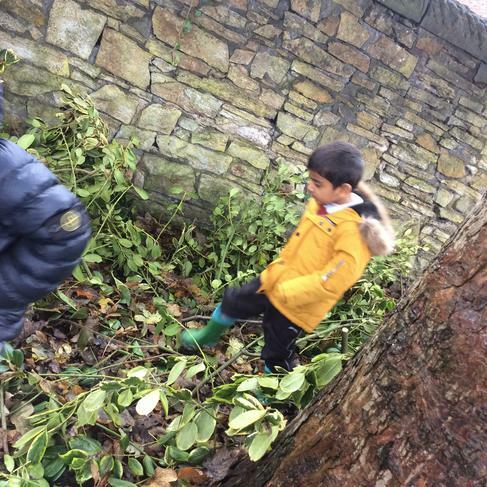 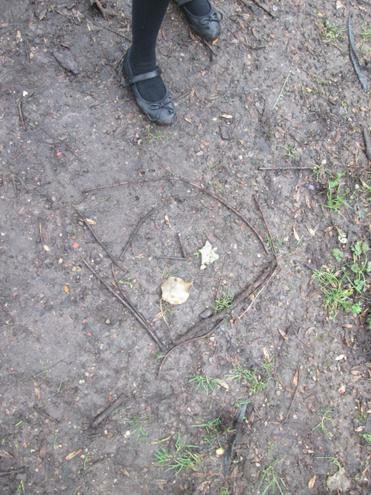 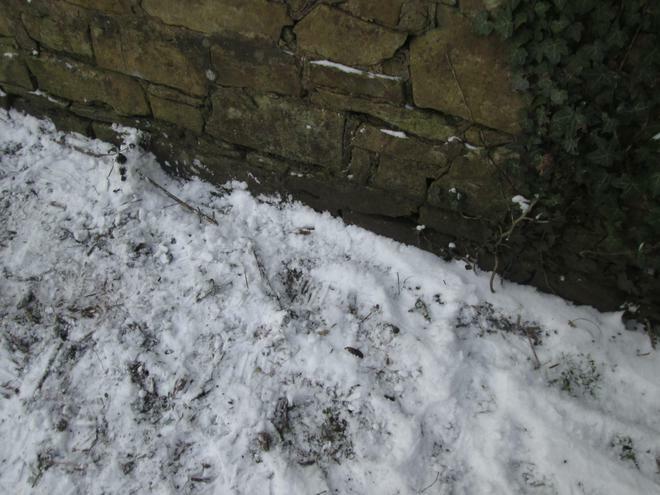 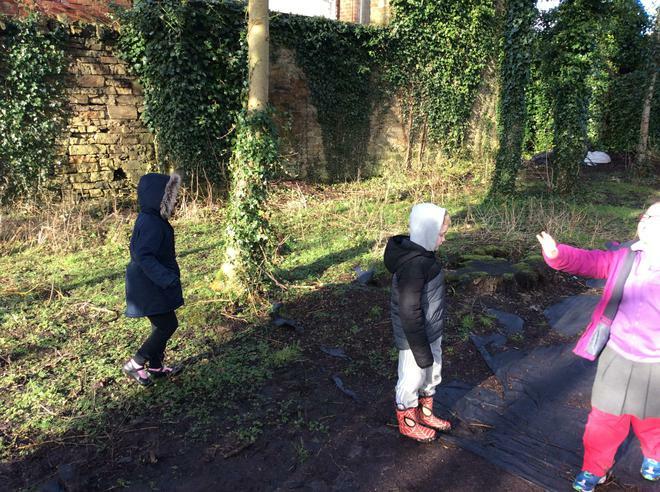 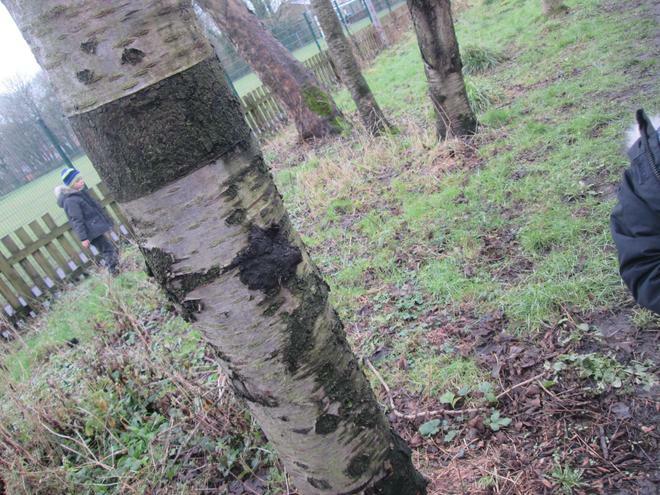 We talked about keeping safe in Forest School by looking carefully where we walked, not picking things up which could be dangerous, not putting things in our mouths and moving carefully around nettles and tree stumps. 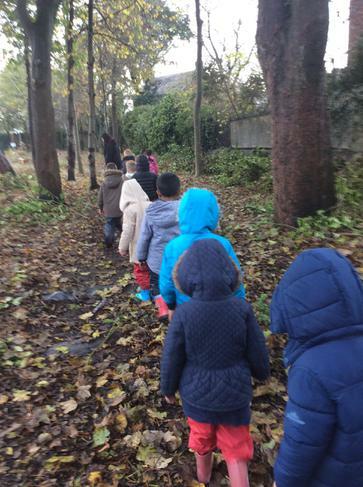 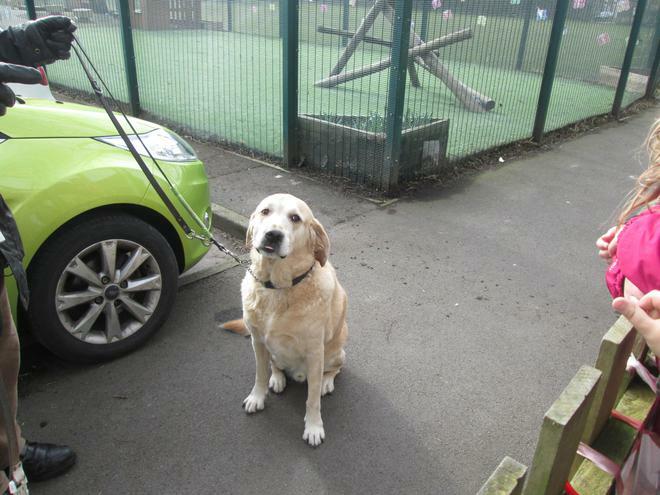 The children followed the rules very well, I was very impressed with our first visit.